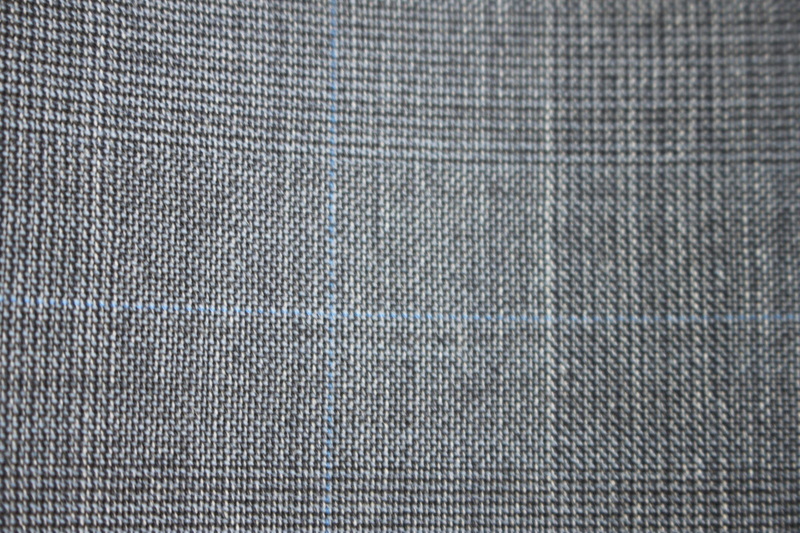 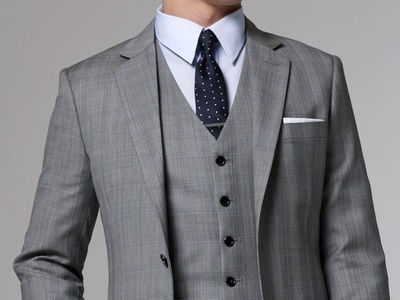 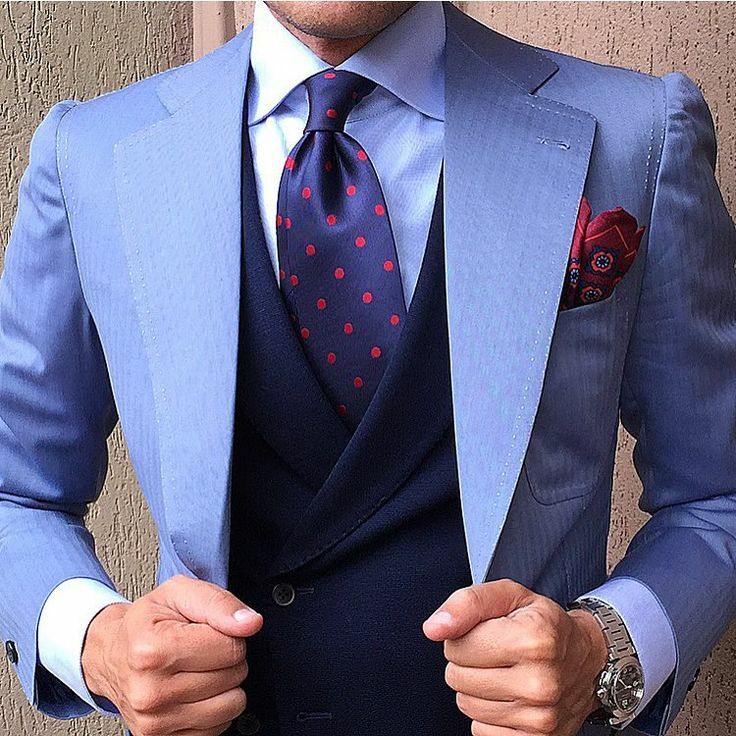 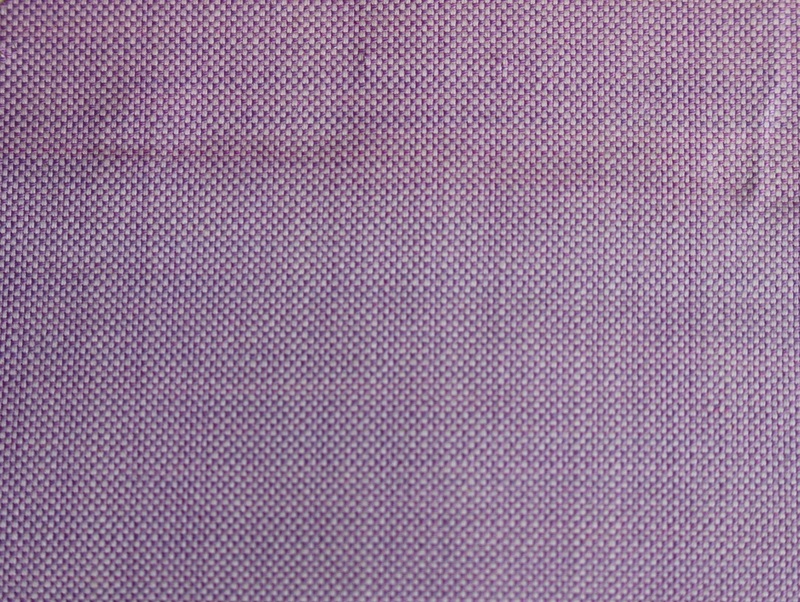 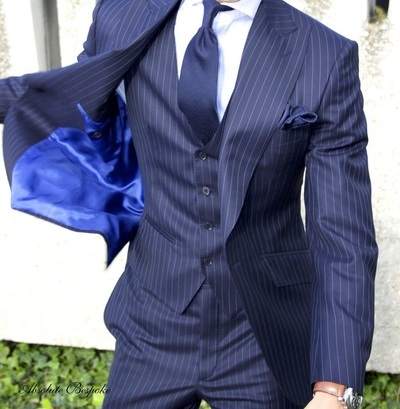 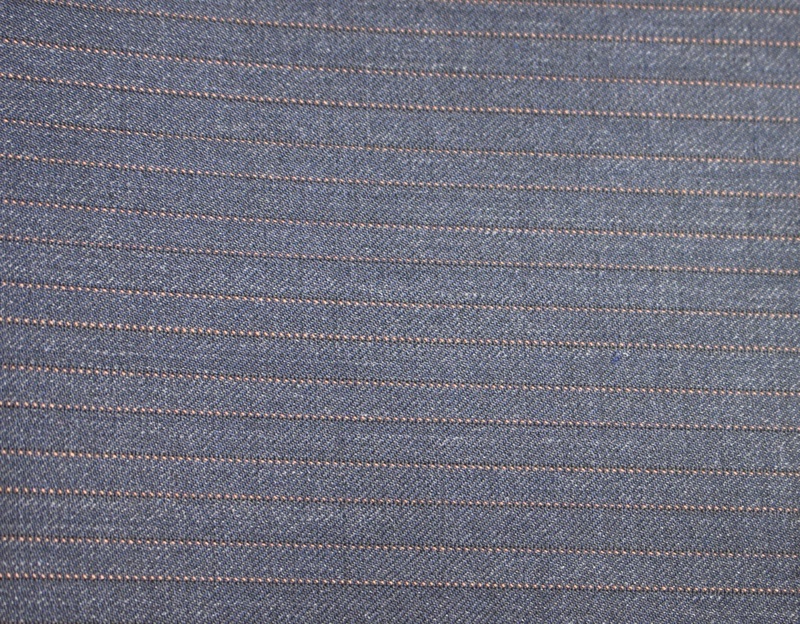 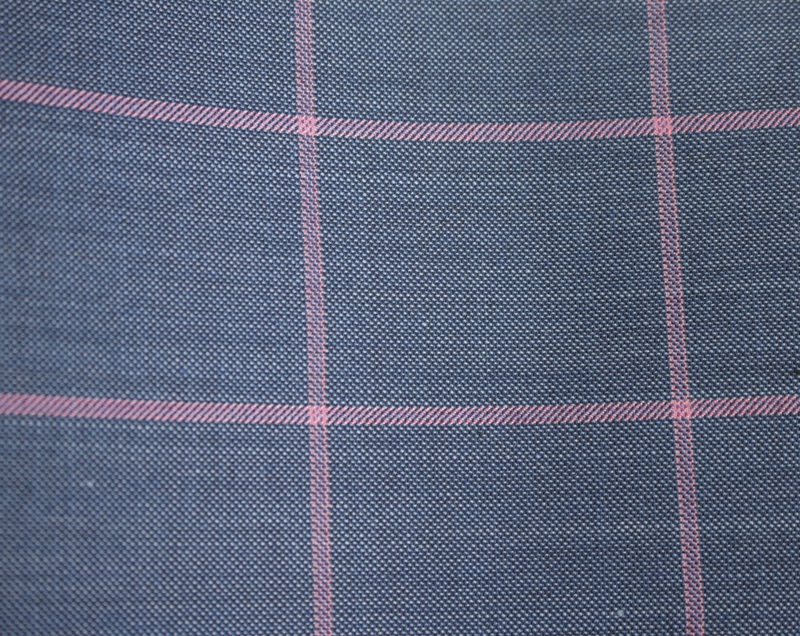 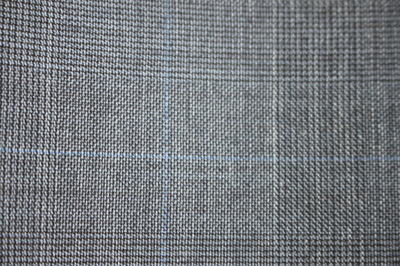 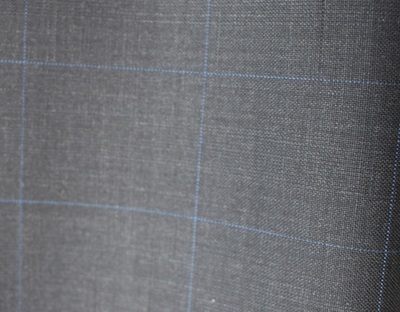 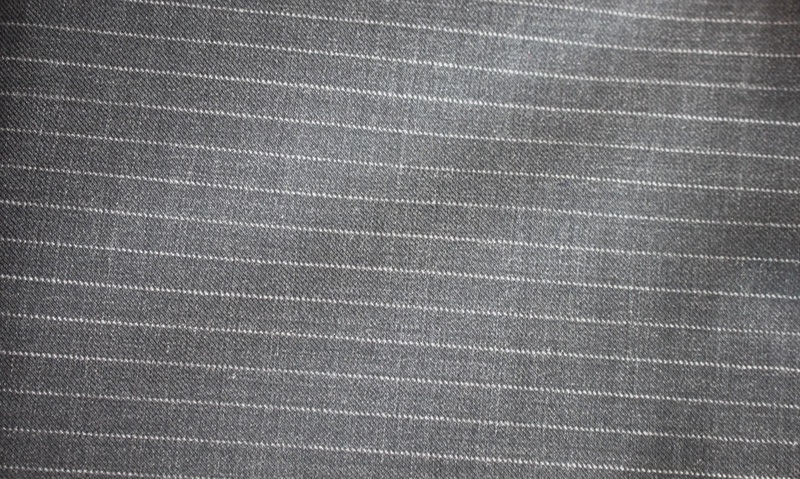 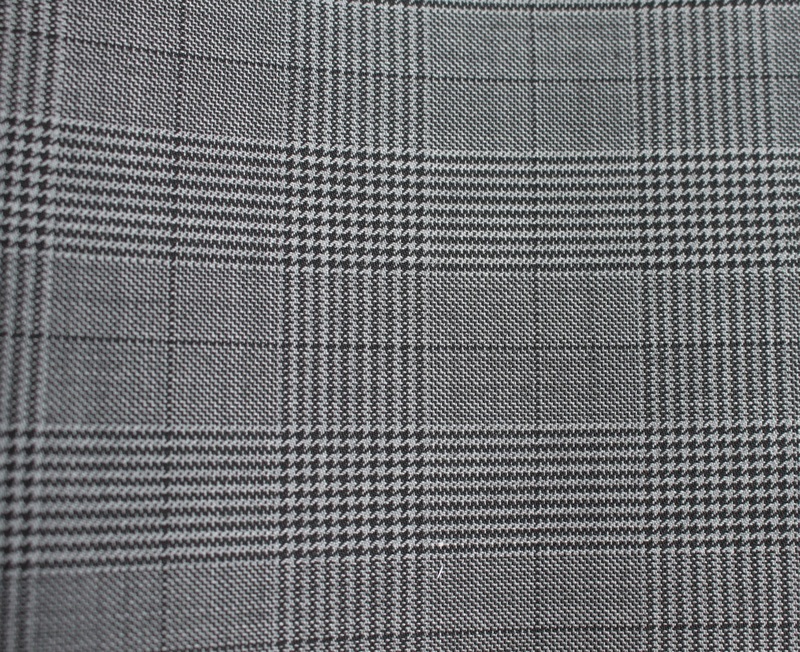 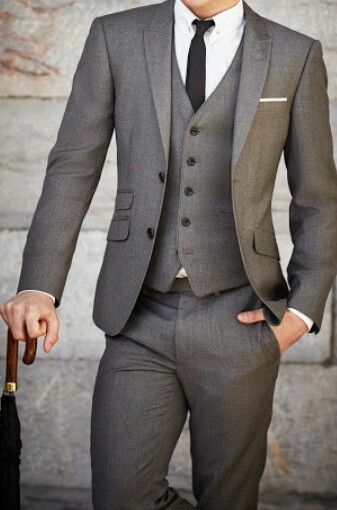 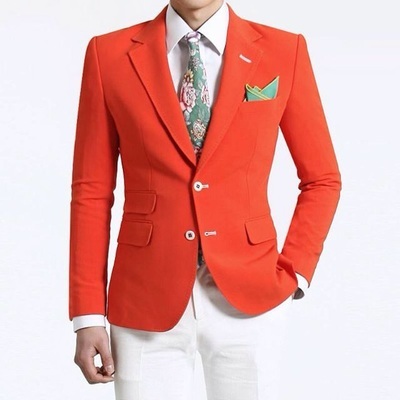 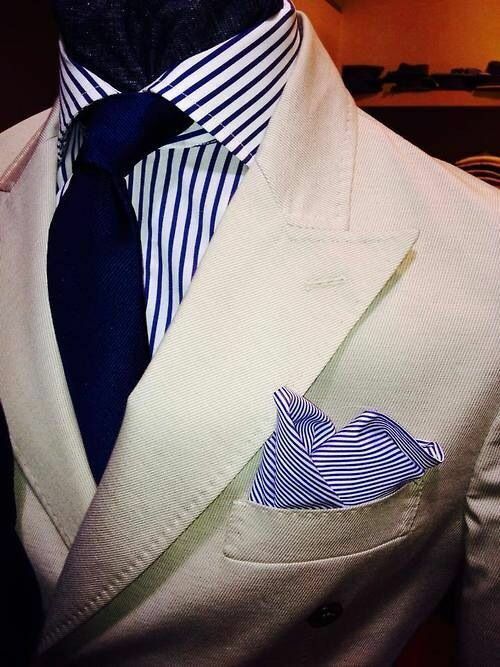 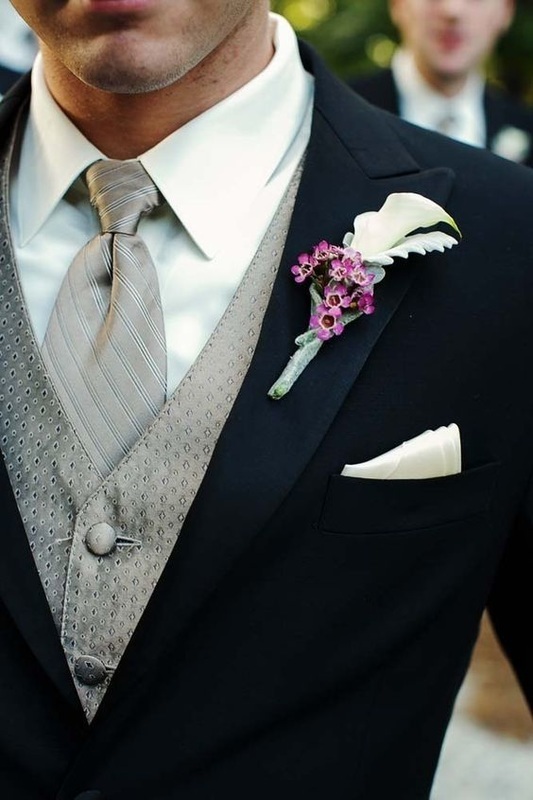 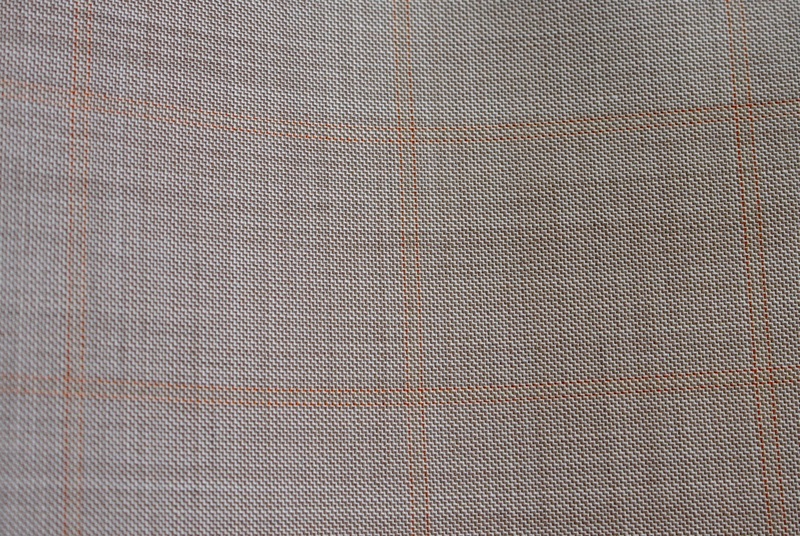 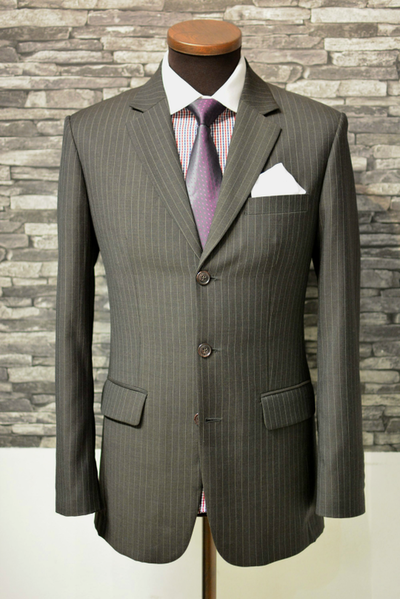 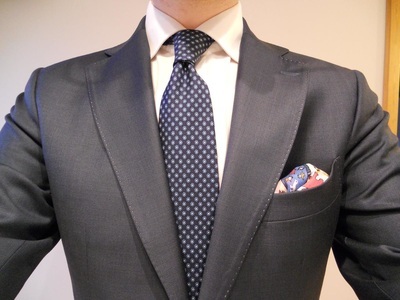 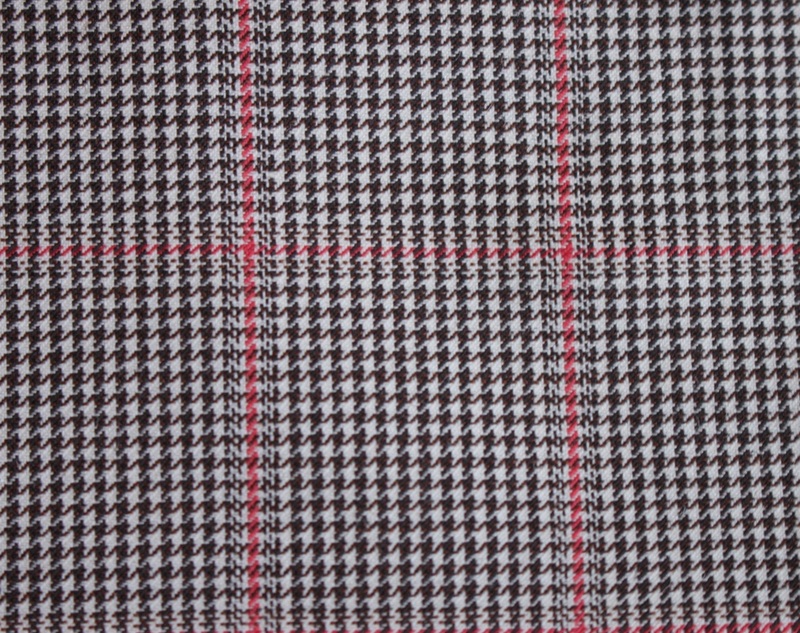 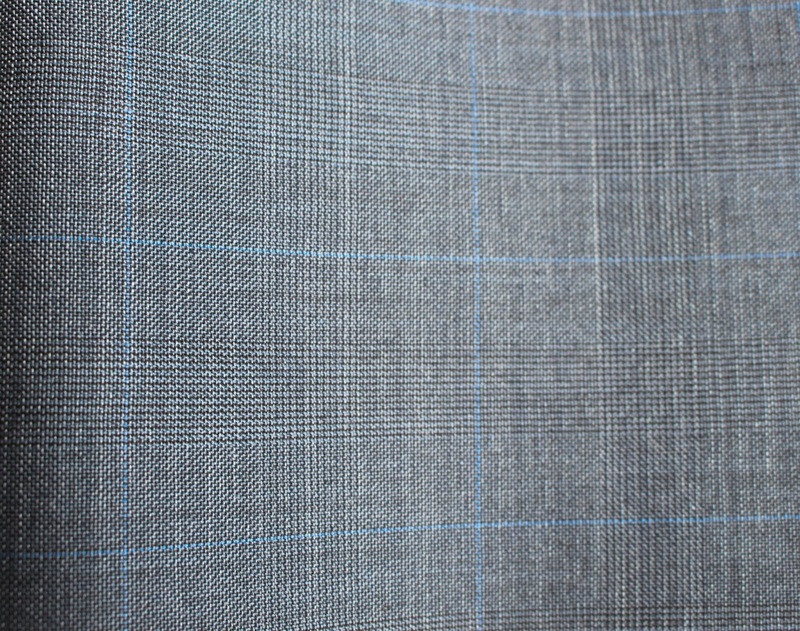 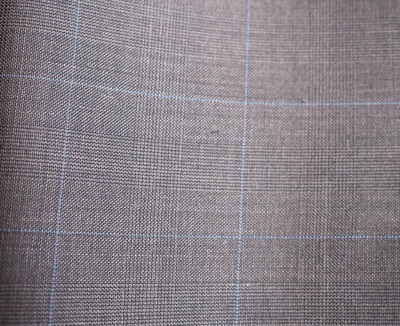 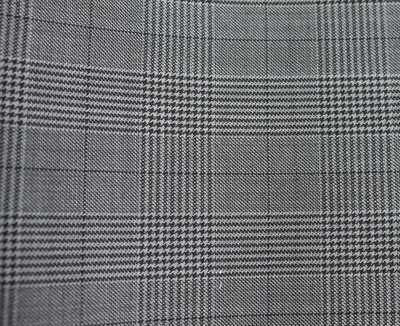 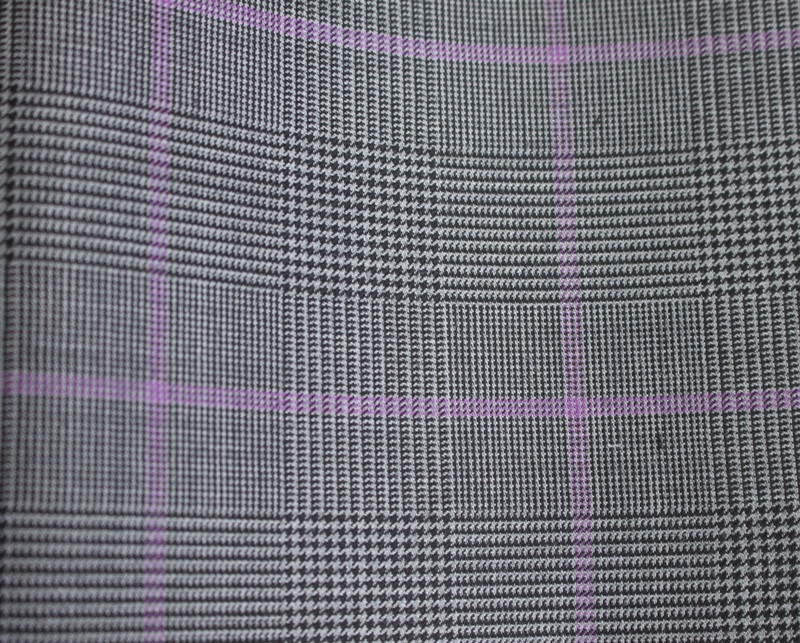 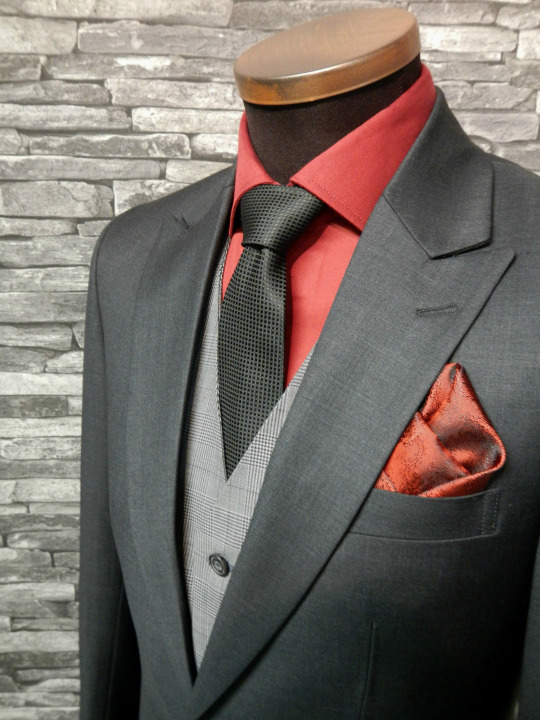 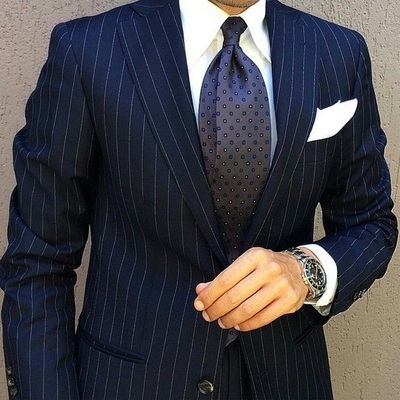 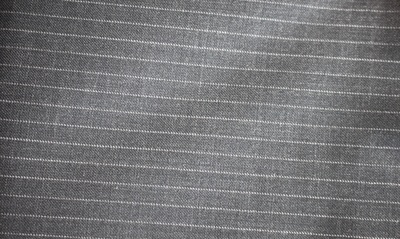 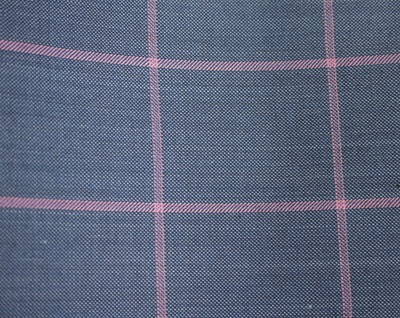 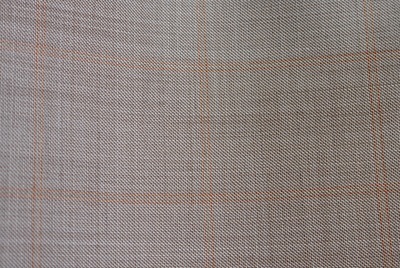 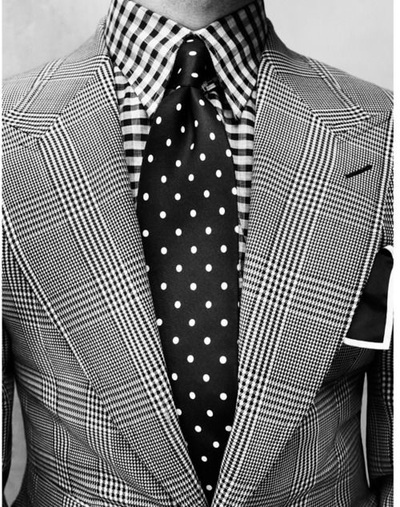 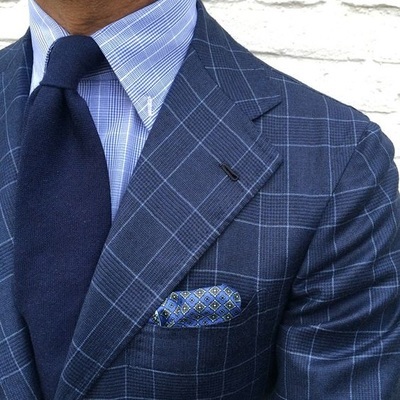 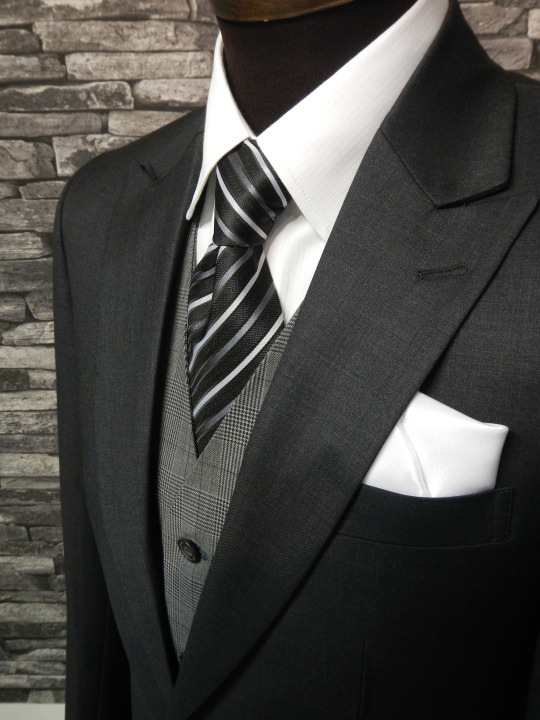 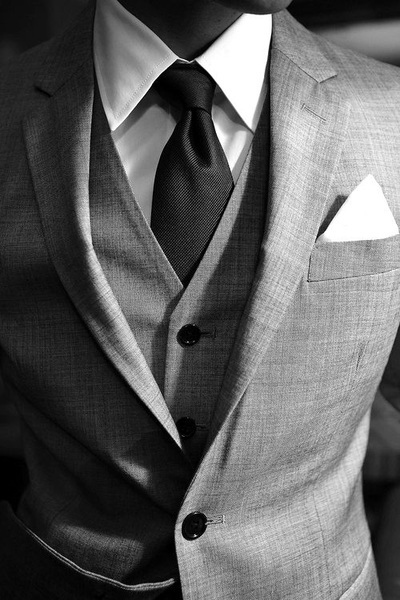 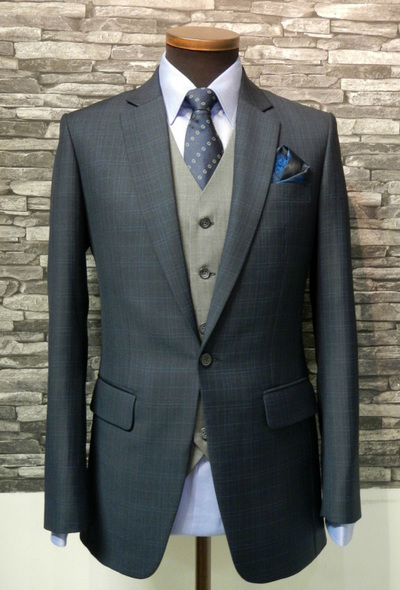 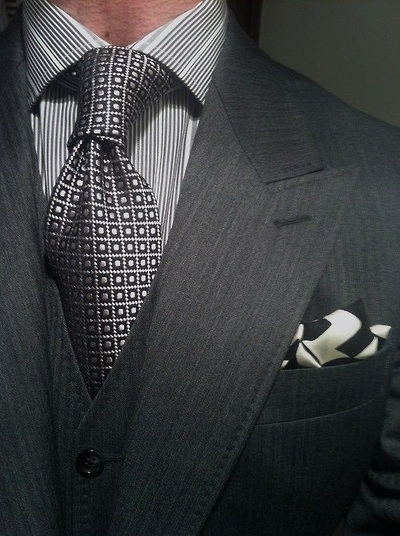 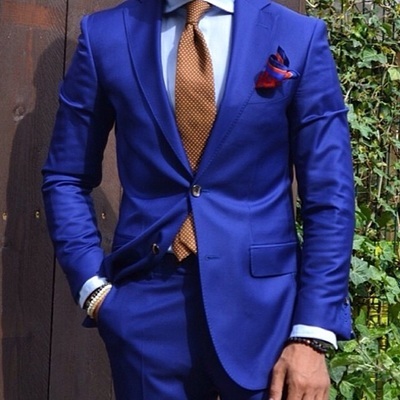 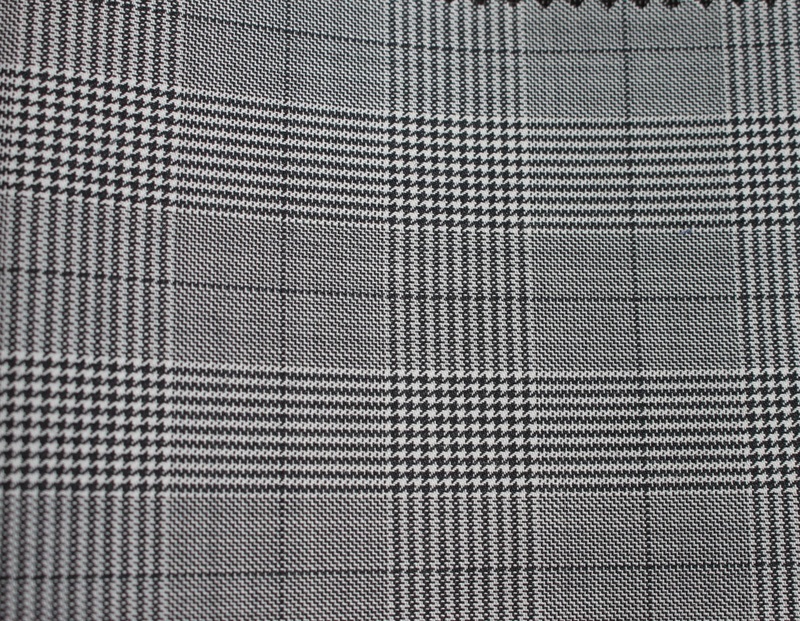 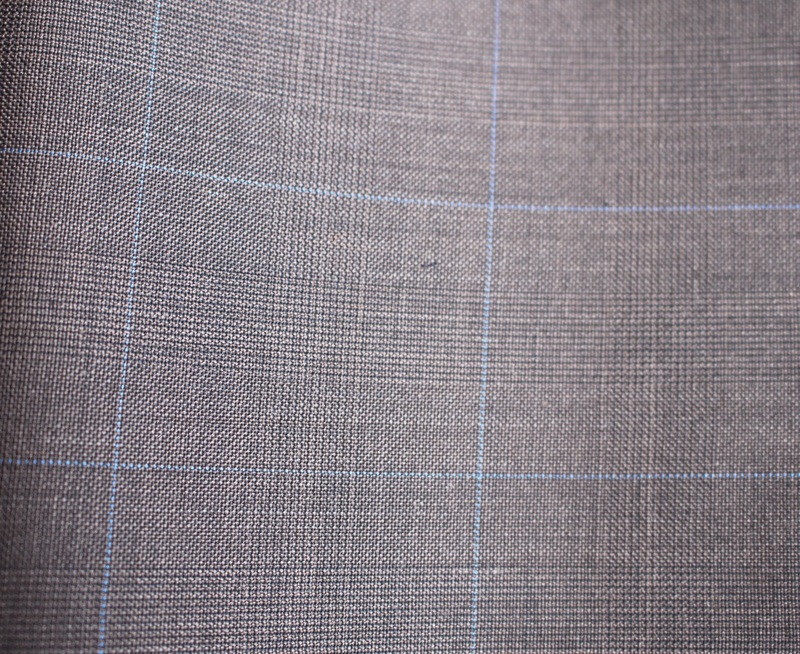 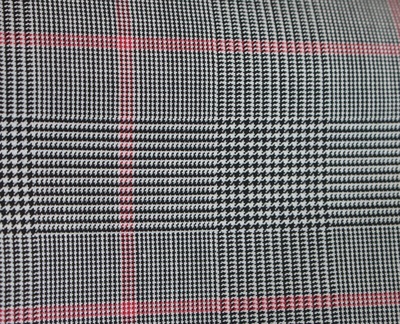 This page is to give our clients an idea of some of the suits we carry. 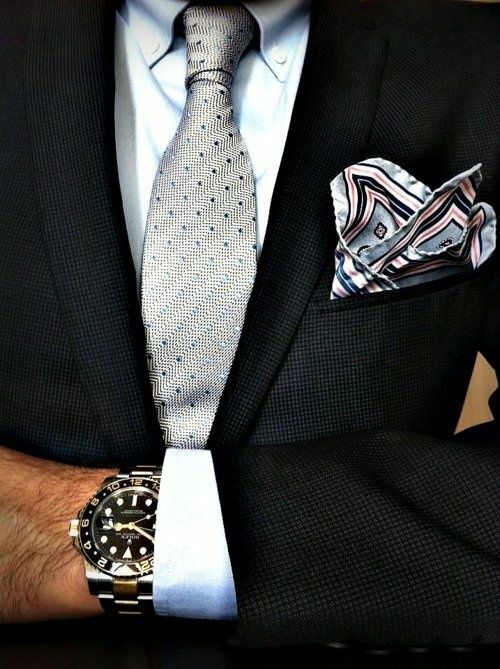 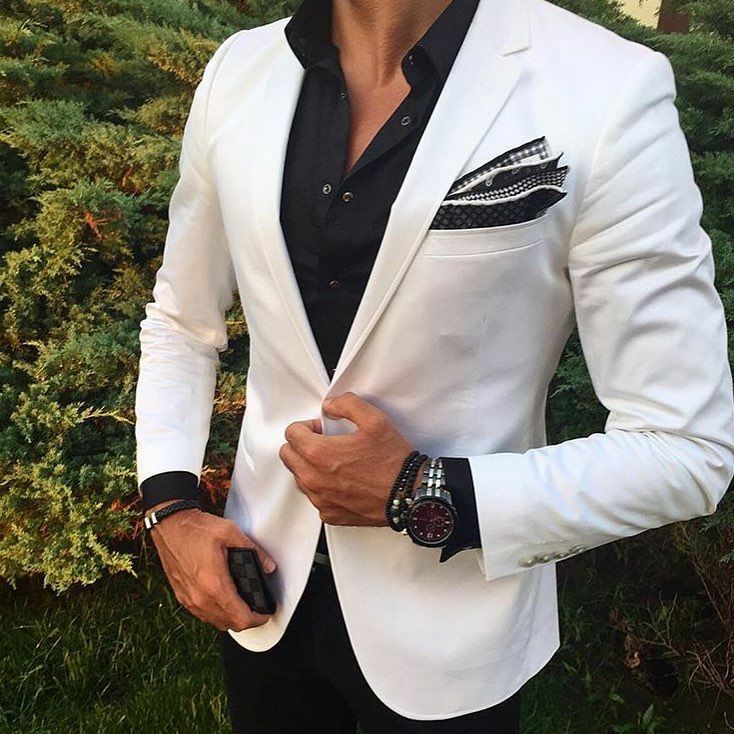 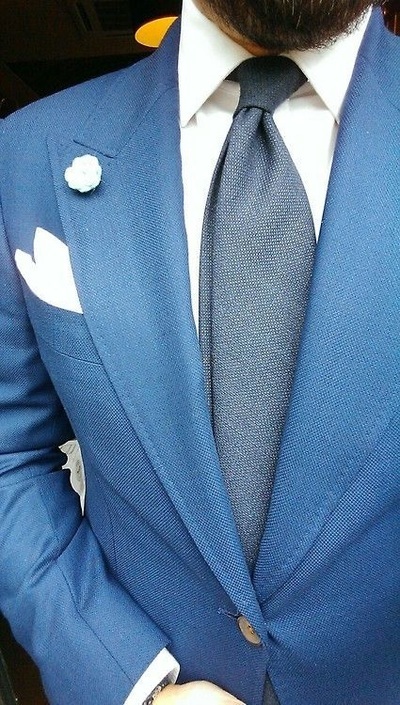 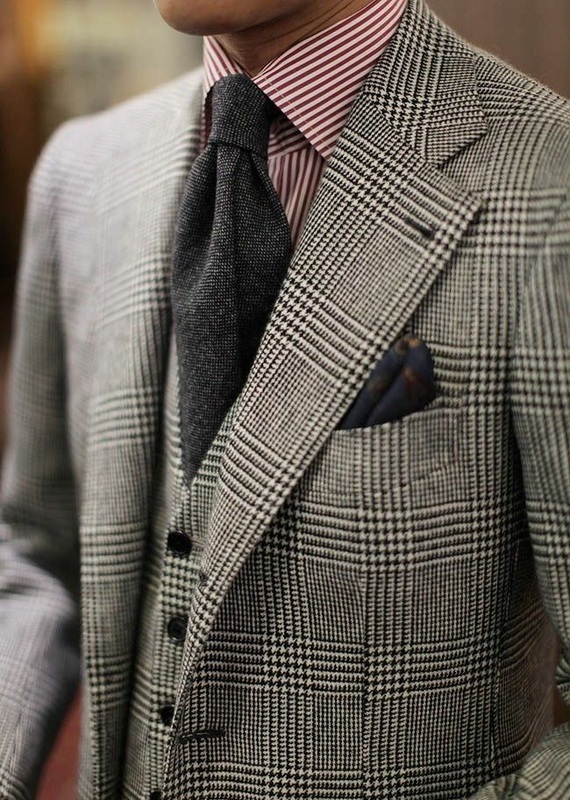 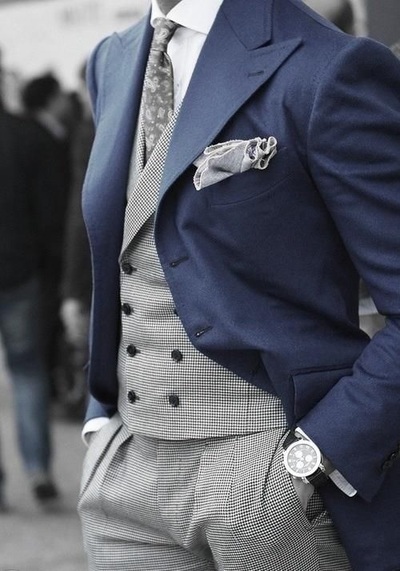 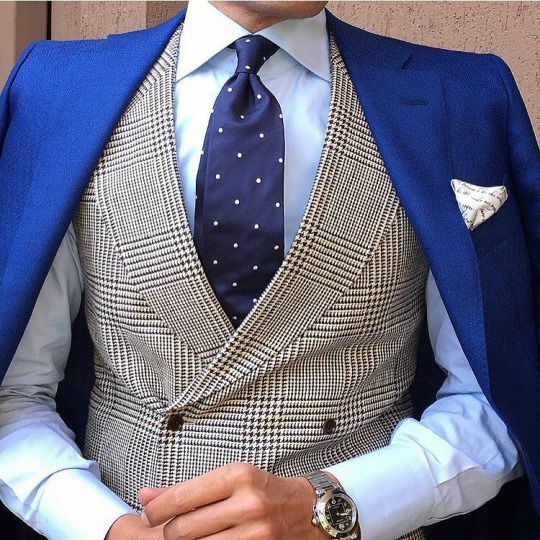 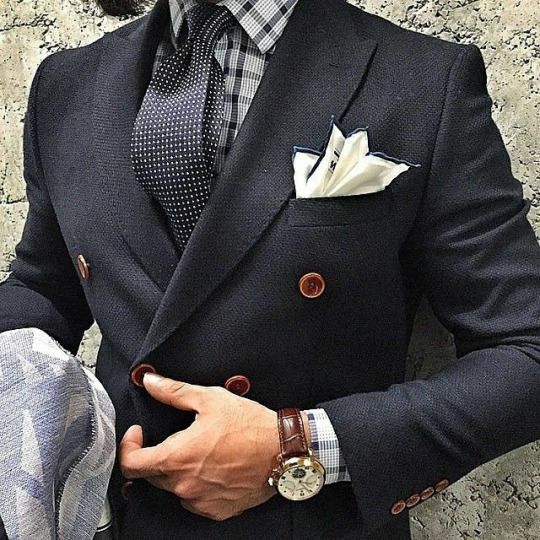 If you have a picture of an outfit you love, send us the picture and we will do our best to match it or find you something that is close within our large selection of suit patterns. 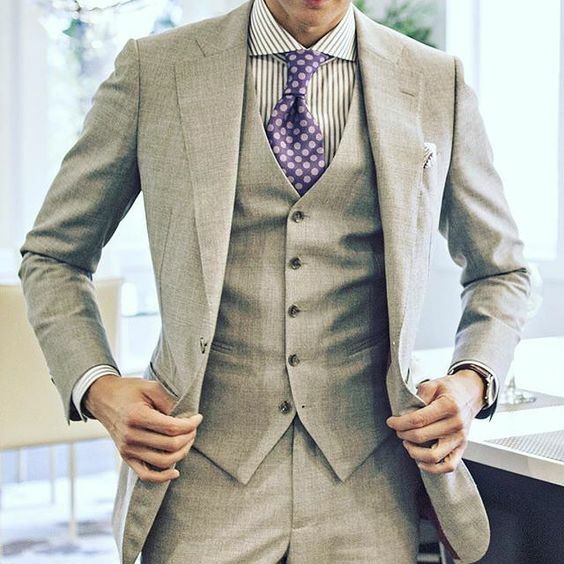 If you are in the Greater Vancouver/Fraser Valley area we can come to you with our travelling tailor where we will measure you and help you not only pick out the material but also the customized options for your suit and dress shirt. 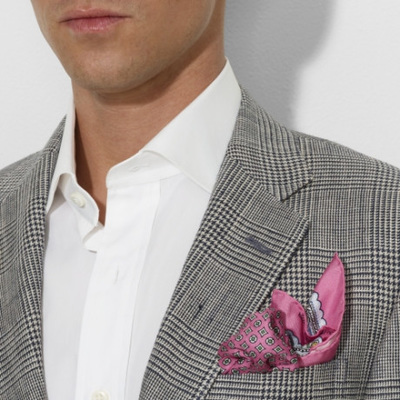 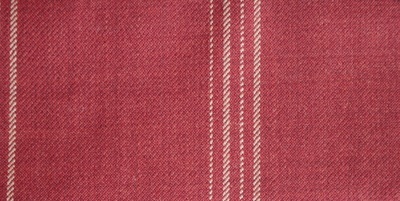 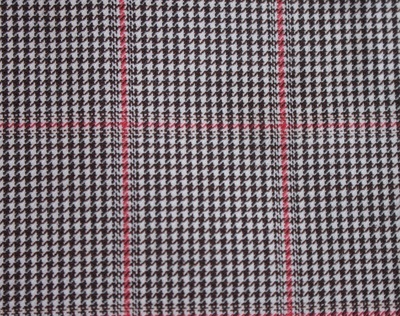 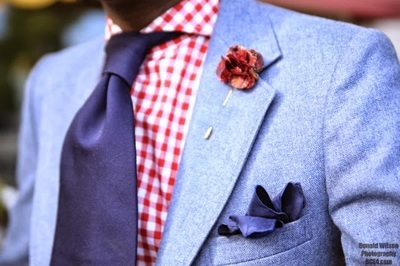 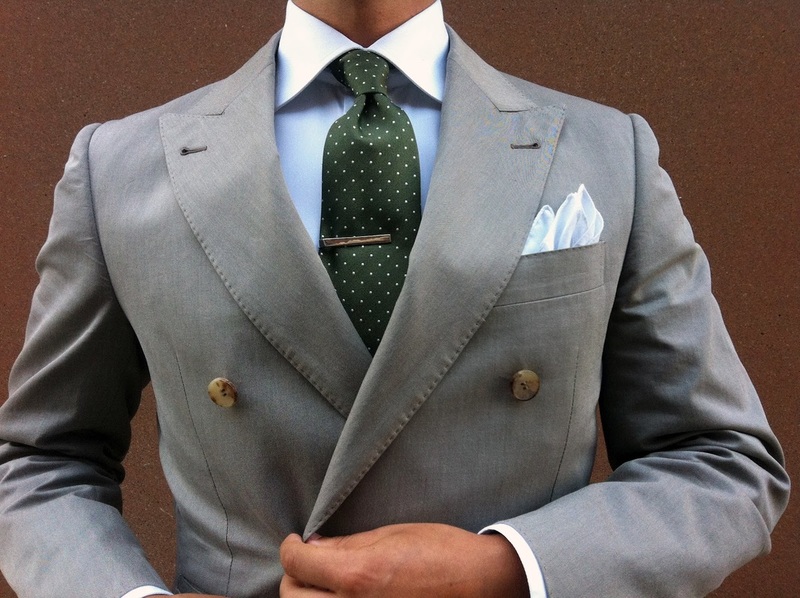 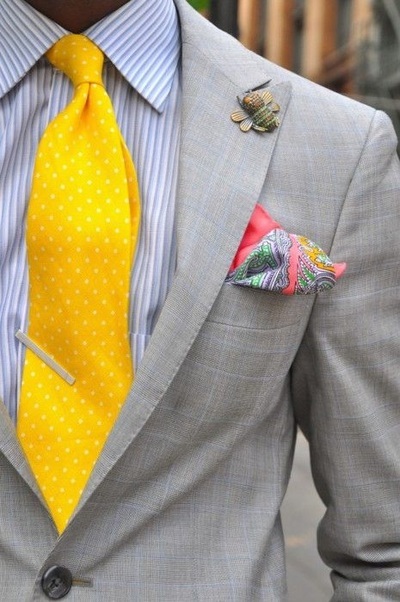 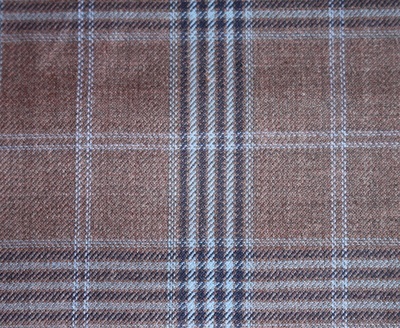 If you would like we can also help you add a few new ties and pocket squares that match the look. 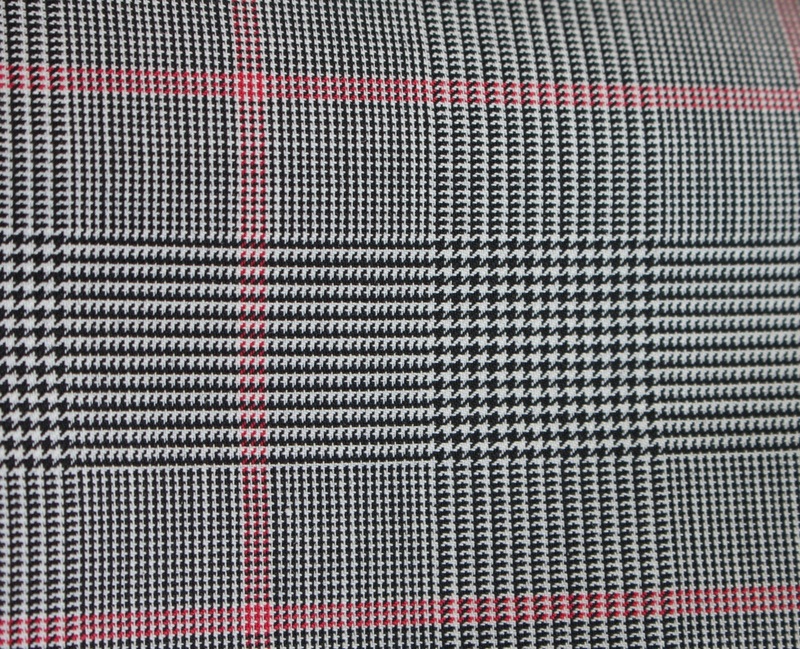 For our other clients not in southwestern B.C. 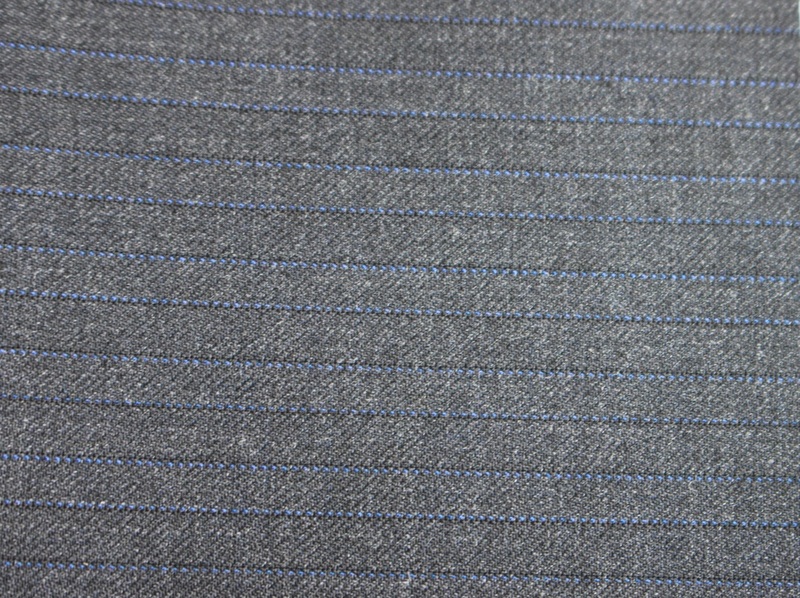 we can send you a detailed description on how to measure yourself. 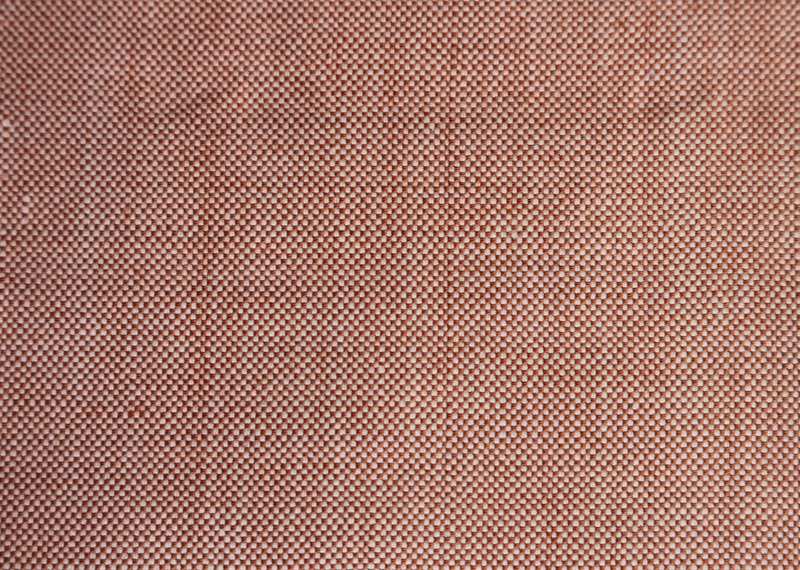 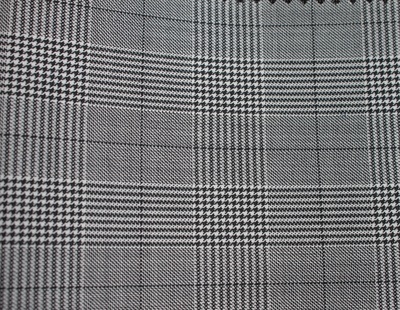 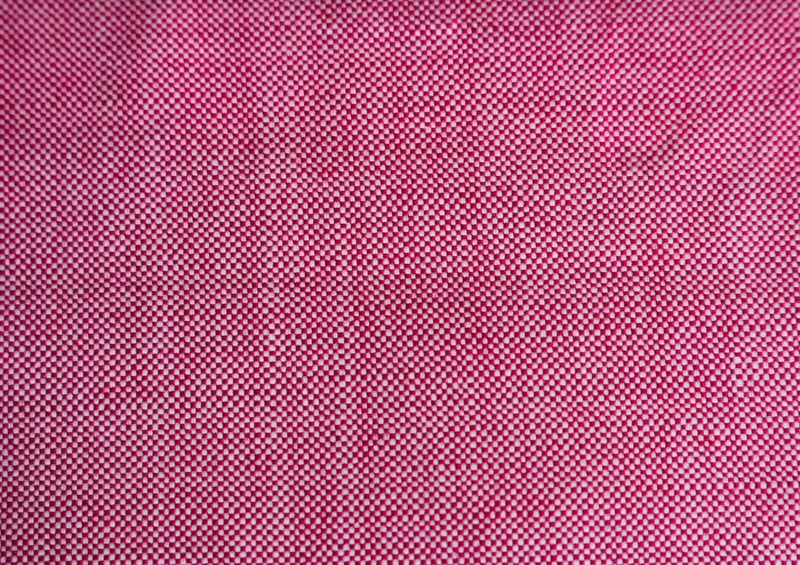 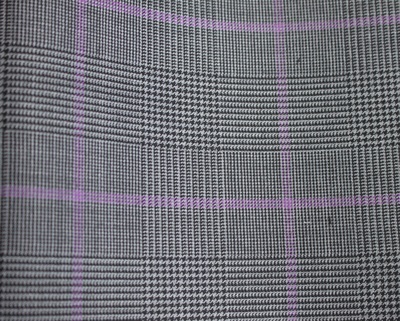 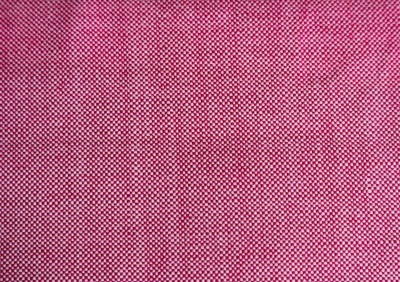 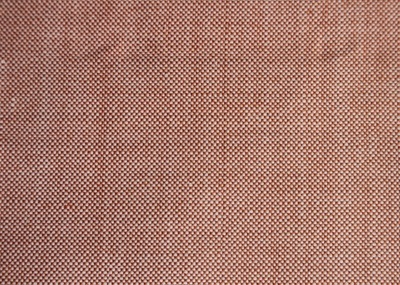 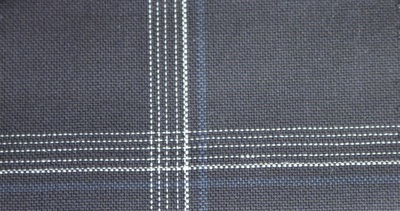 If you would like just the material contact us for a quote. 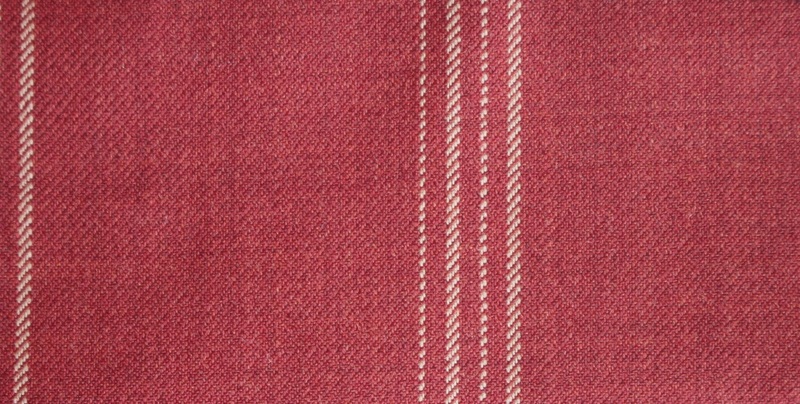 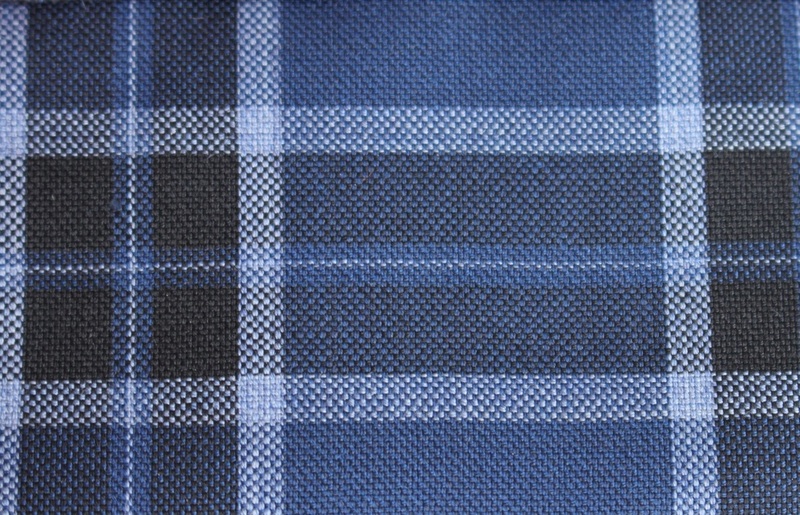 Our Scotty Blue, Jordan Zee & Tissuti collections are made from 17.5 Micron Merino Wool. 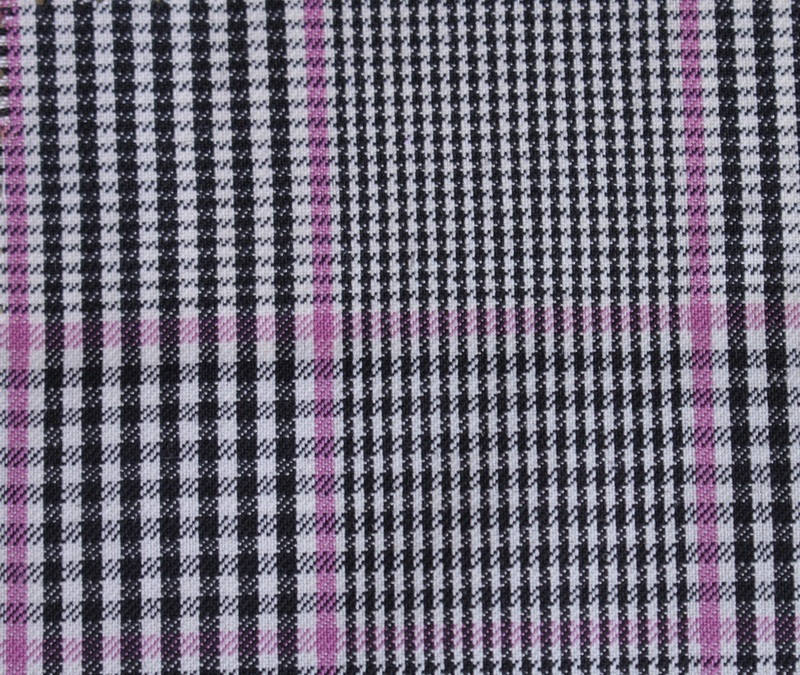 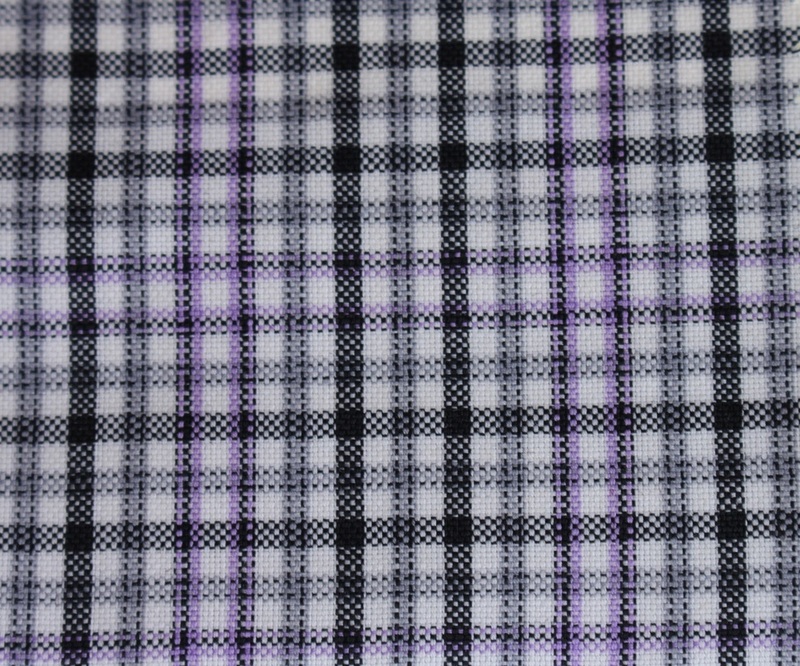 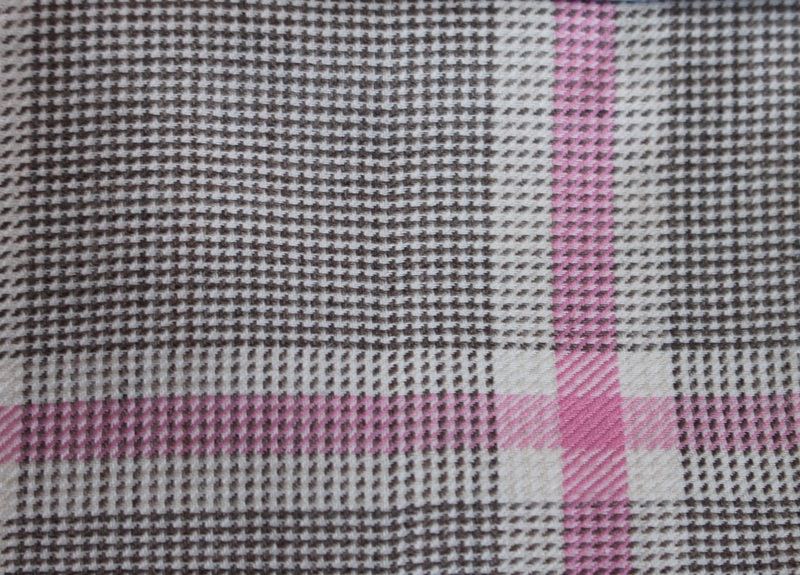 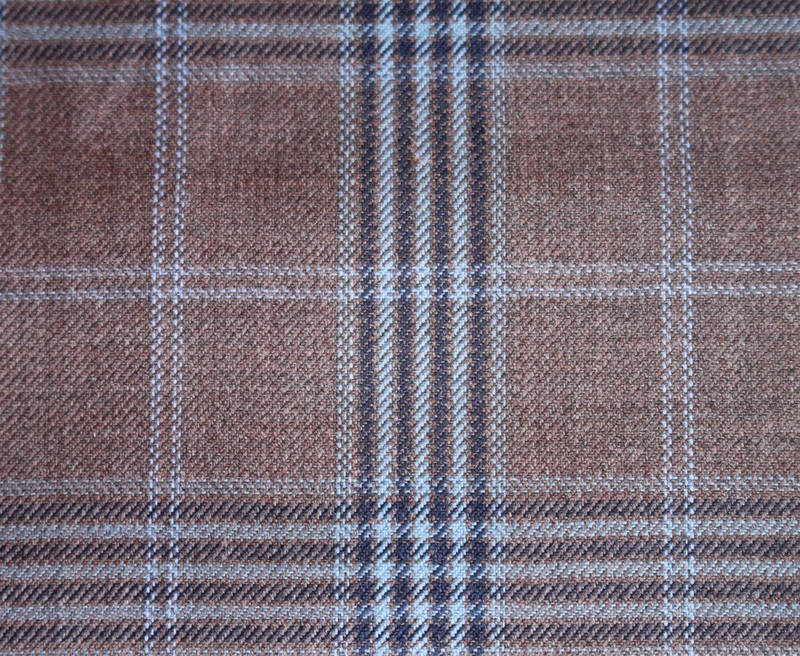 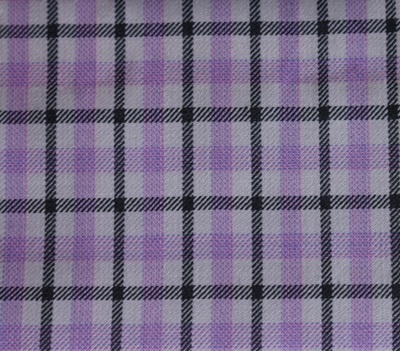 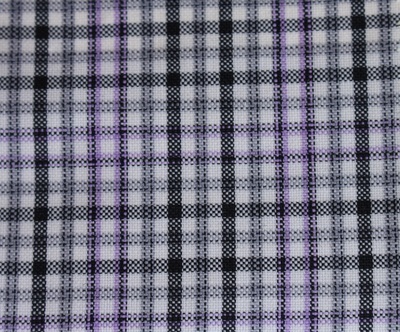 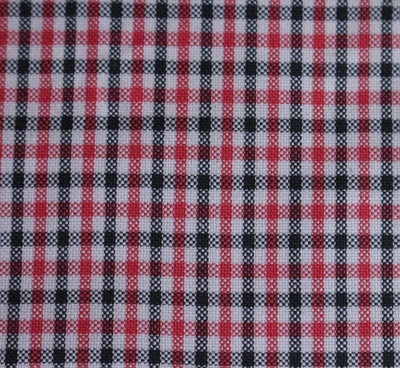 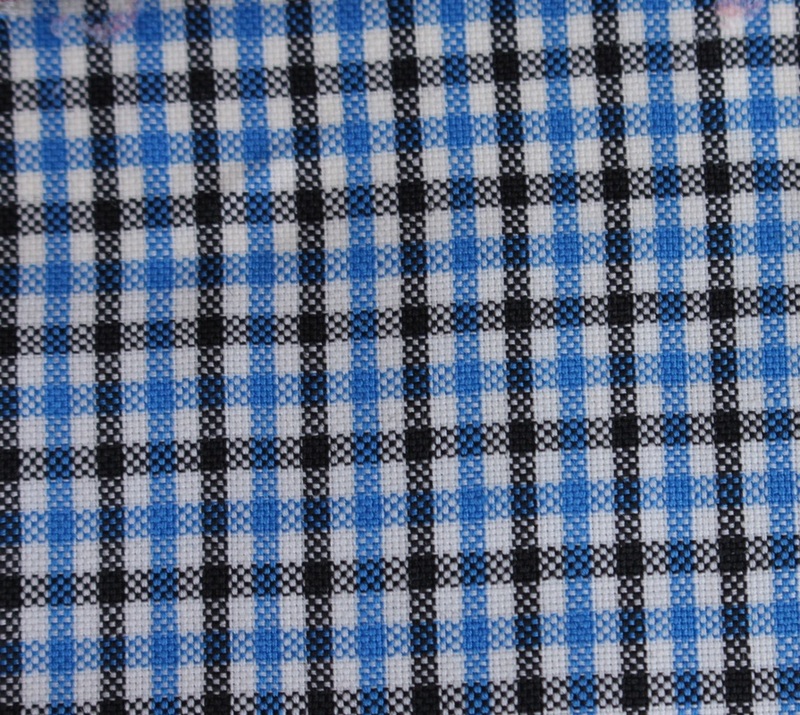 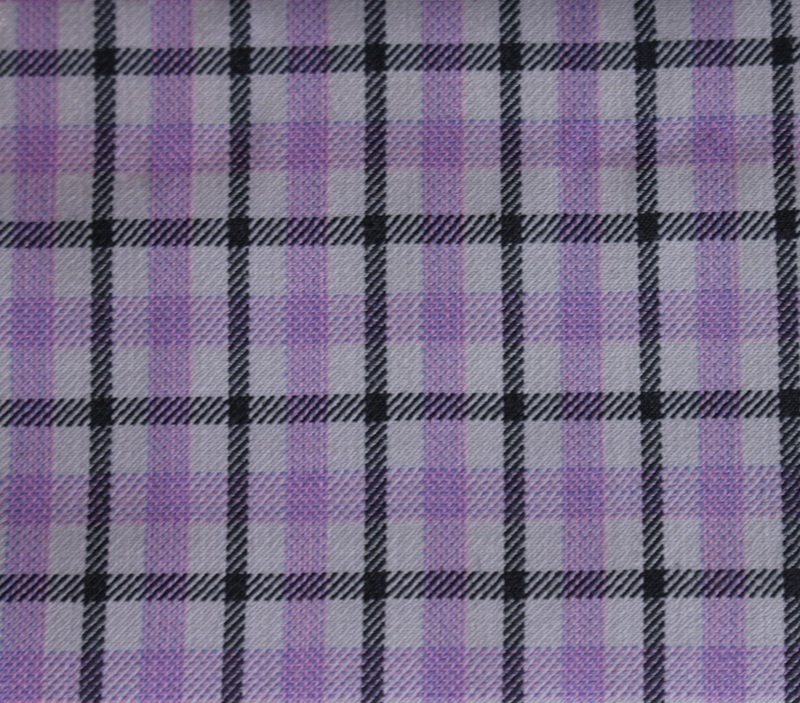 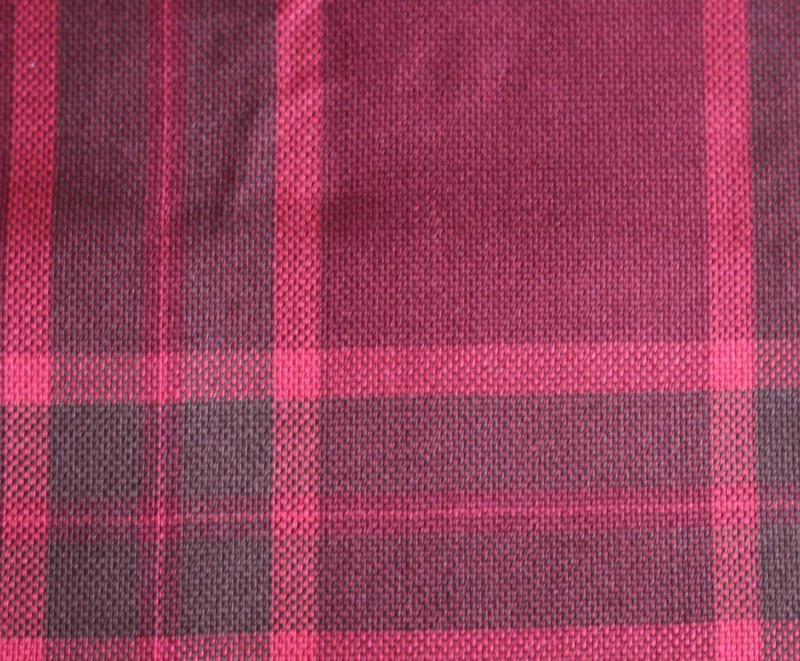 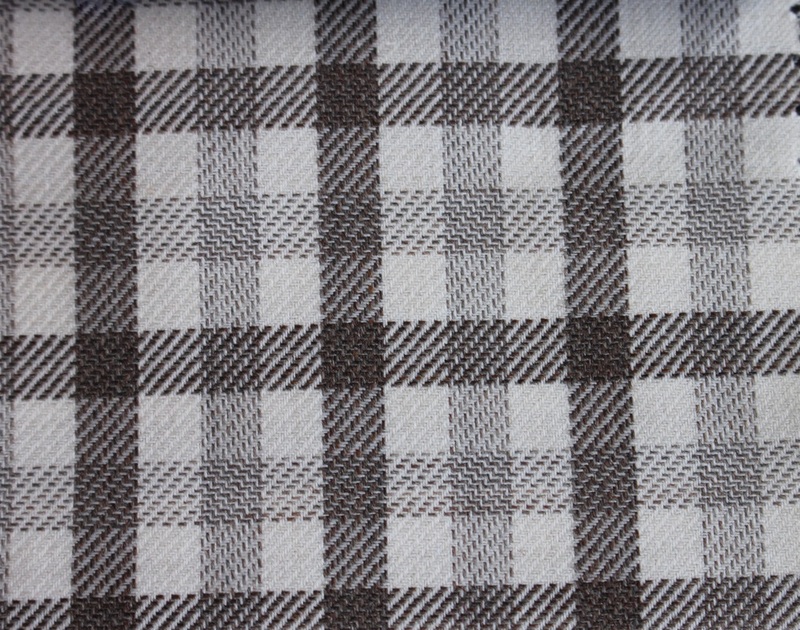 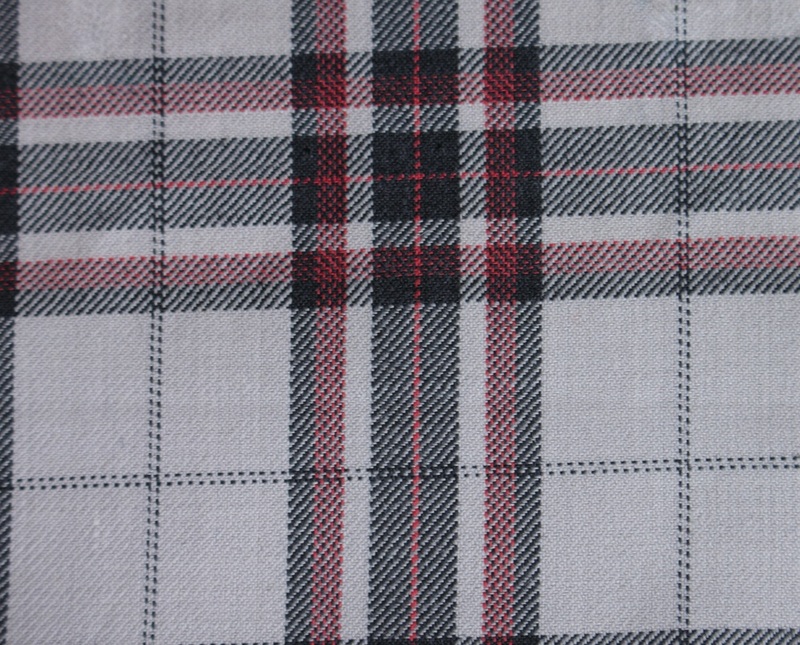 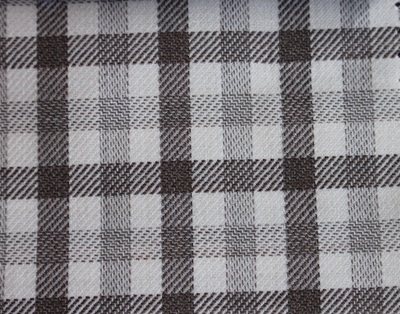 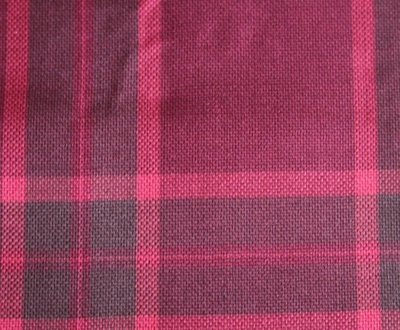 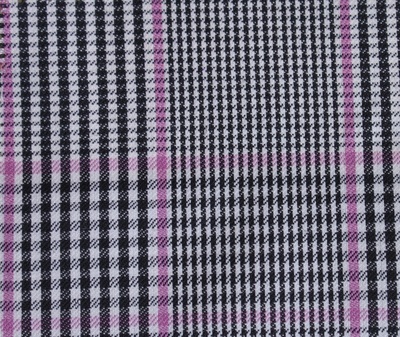 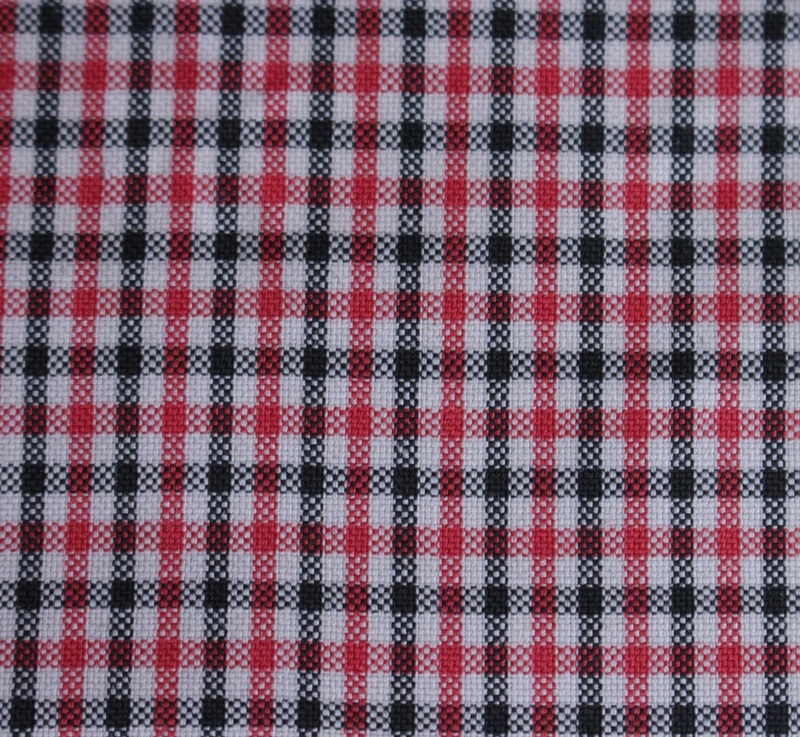 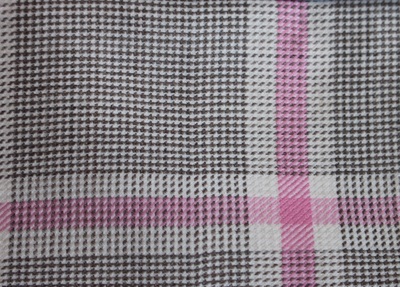 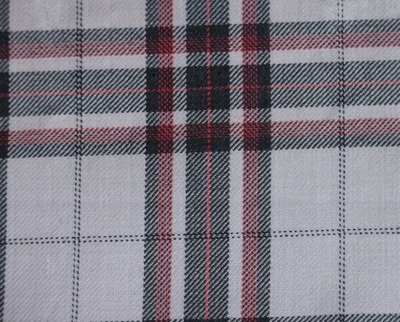 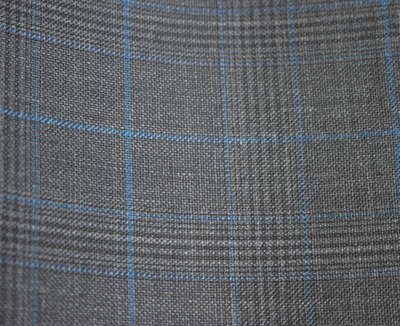 Besides our solid patterns, we have plenty of different colors & patterns to choose from. 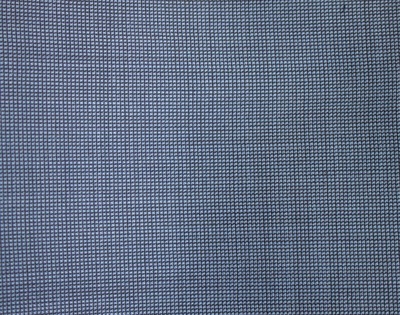 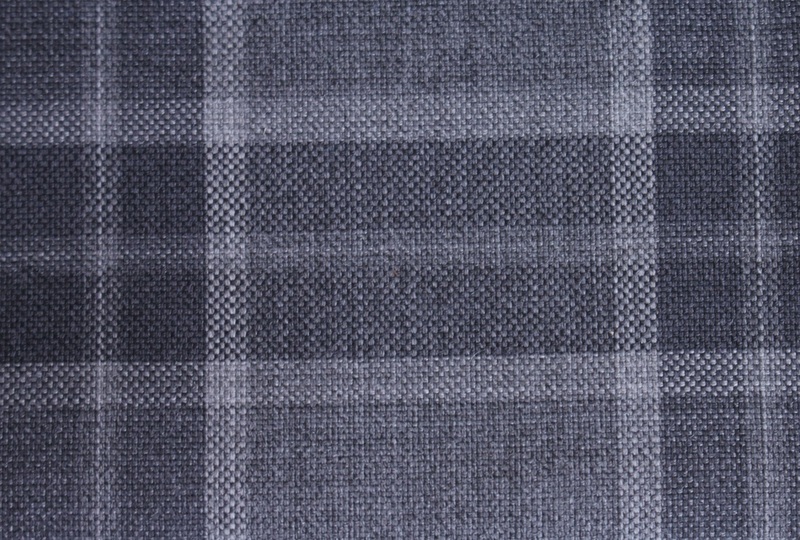 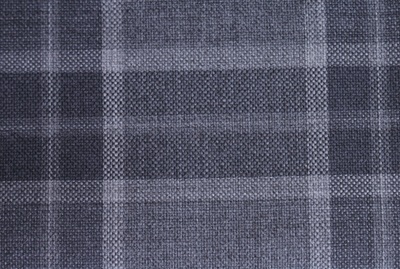 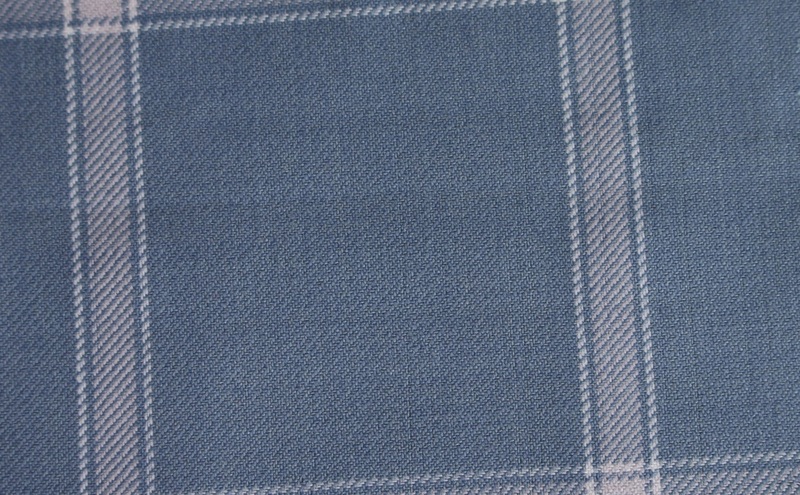 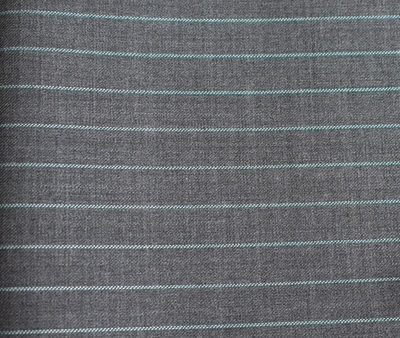 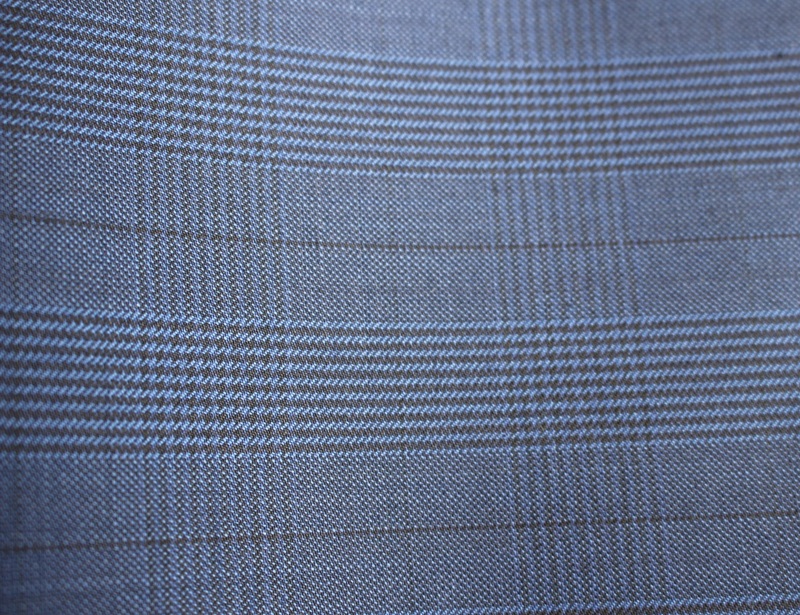 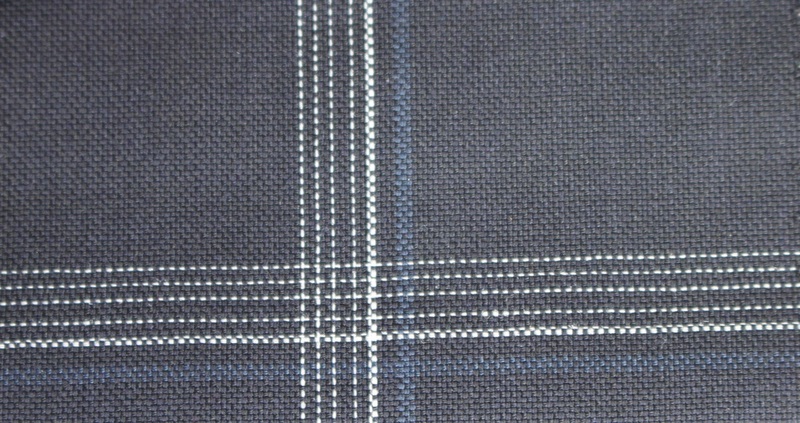 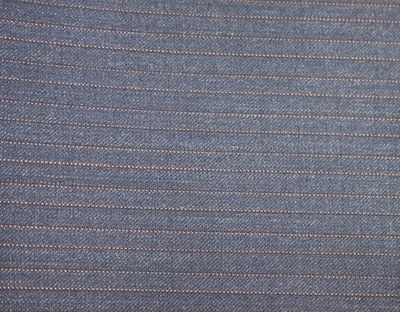 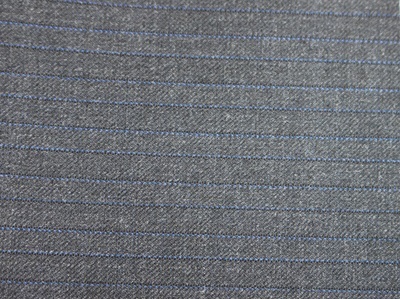 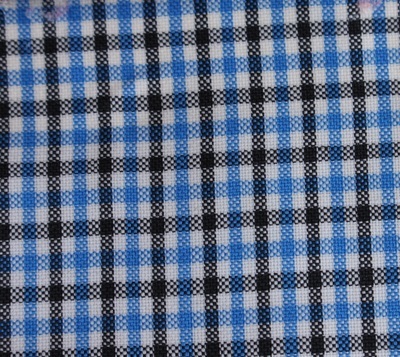 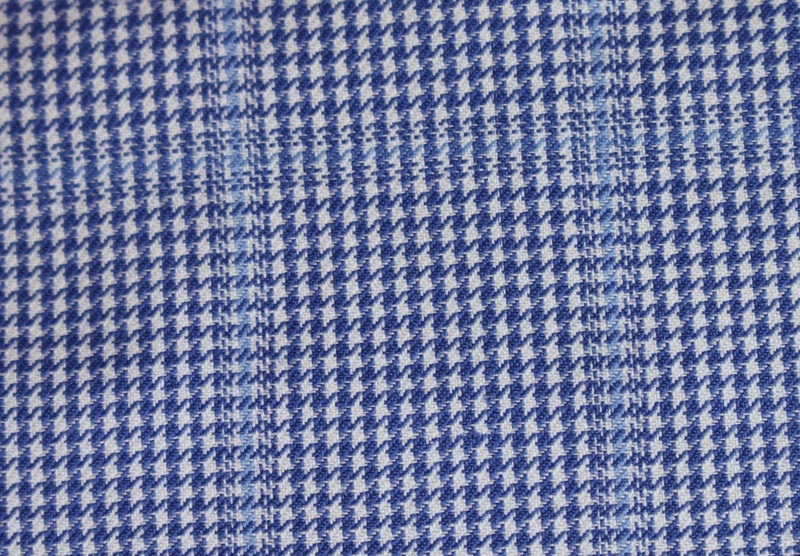 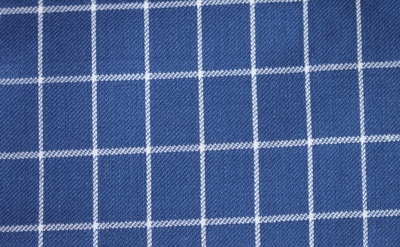 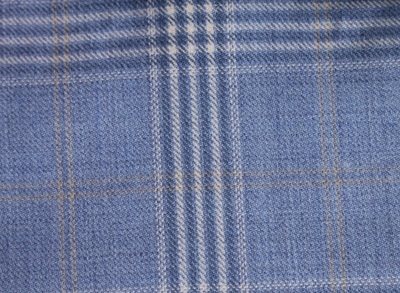 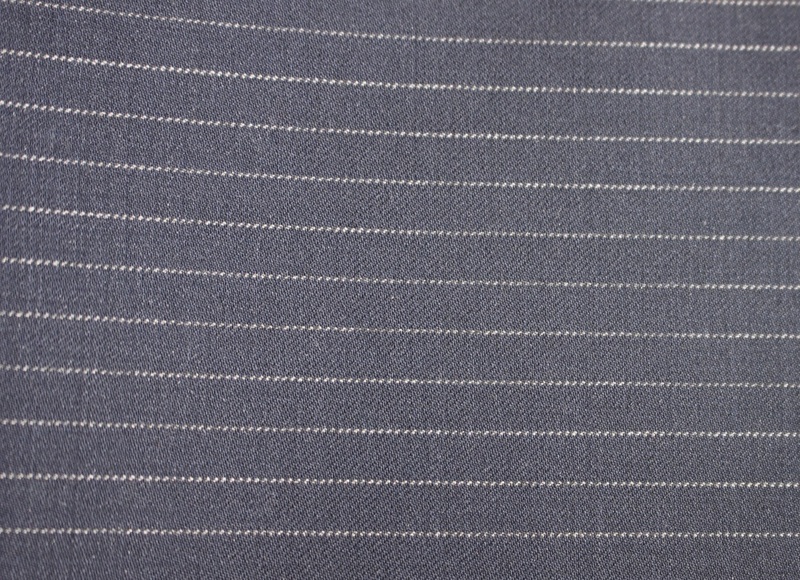 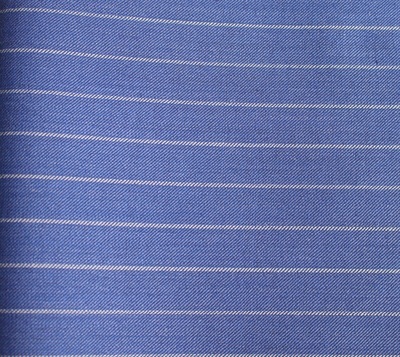 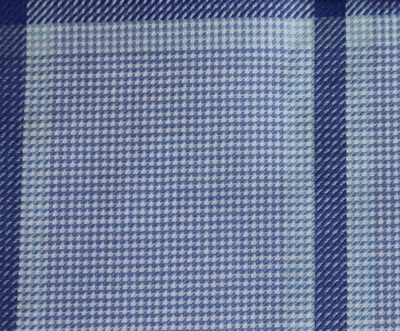 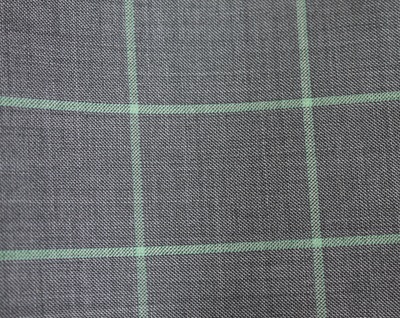 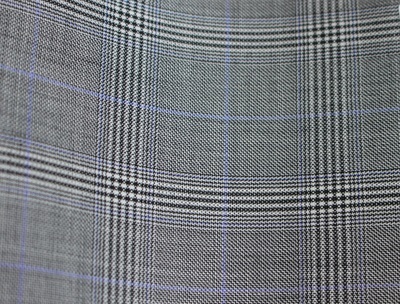 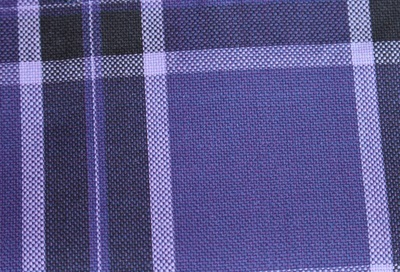 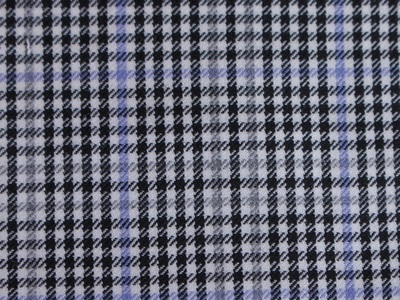 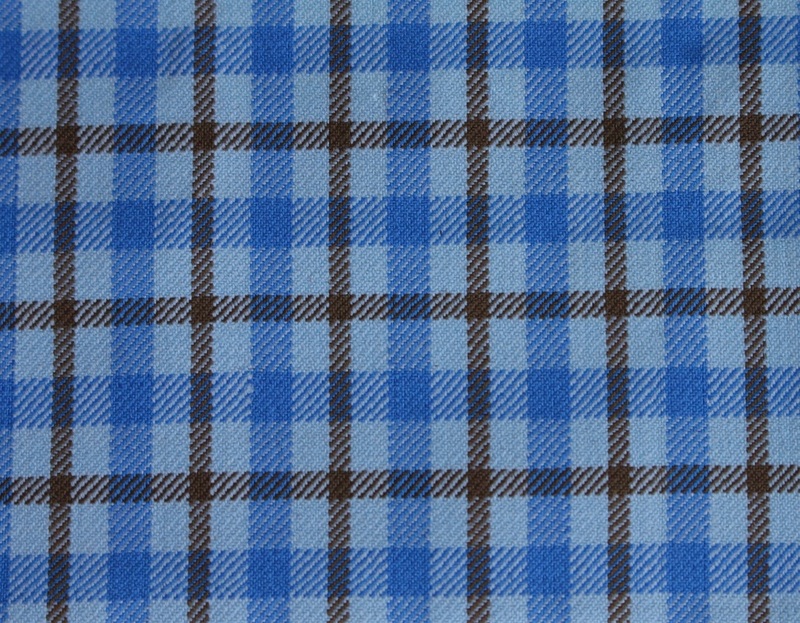 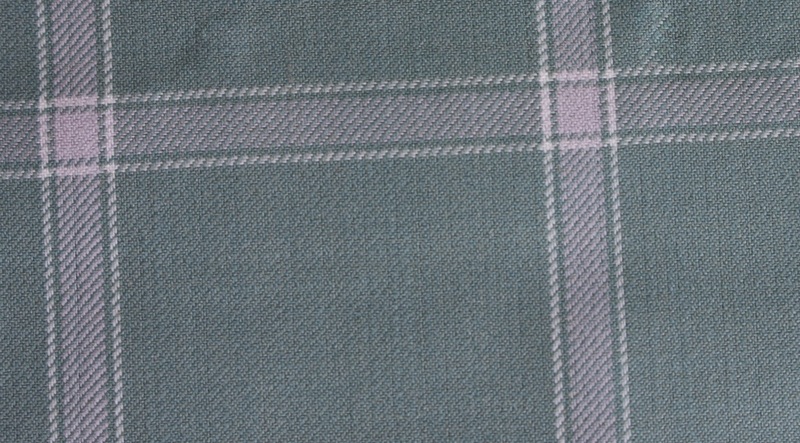 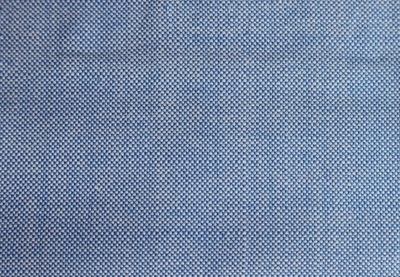 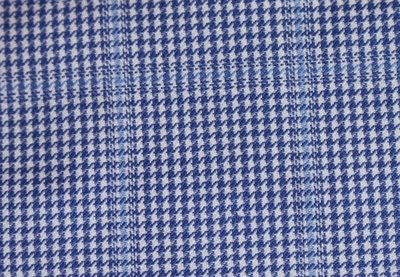 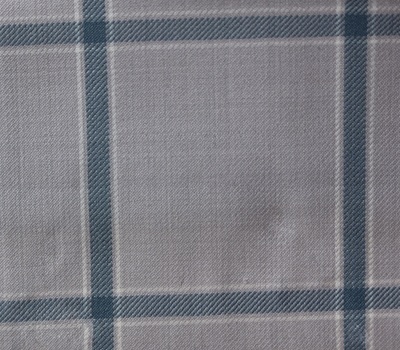 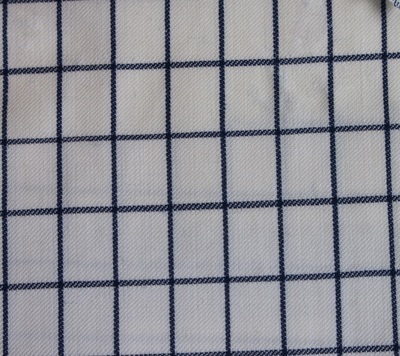 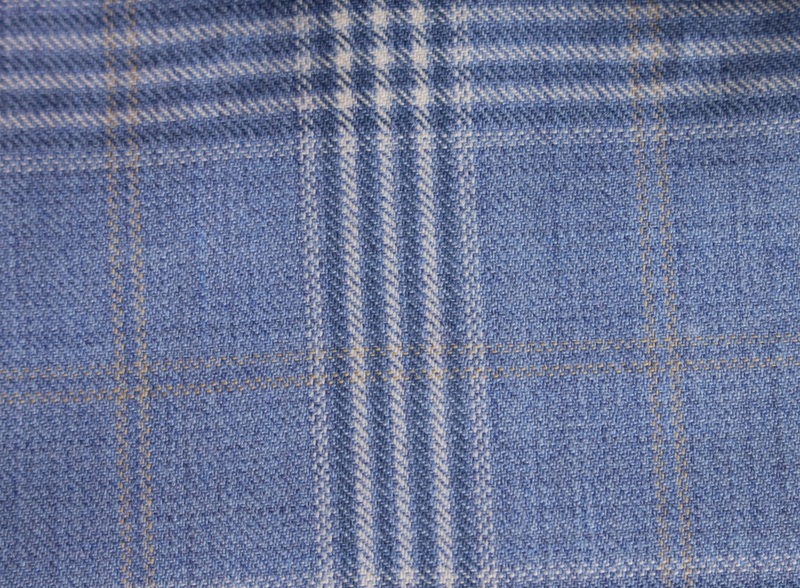 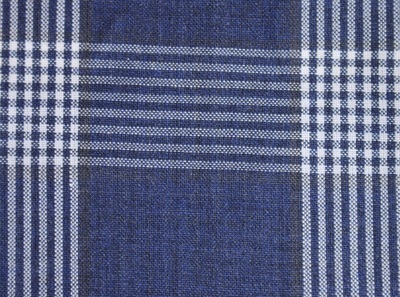 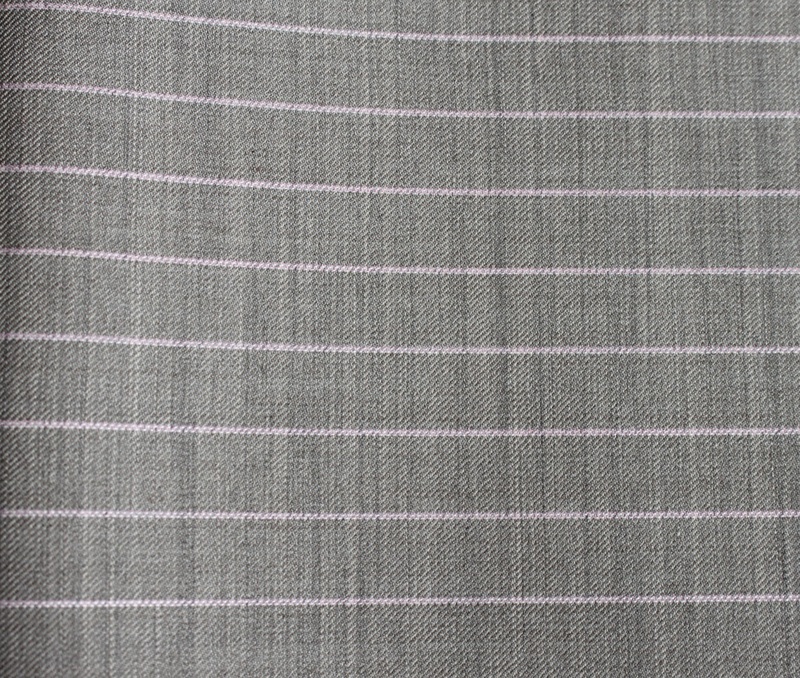 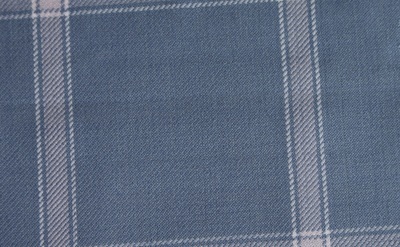 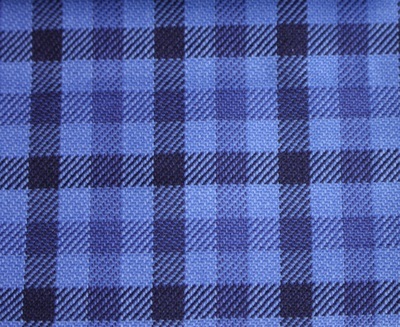 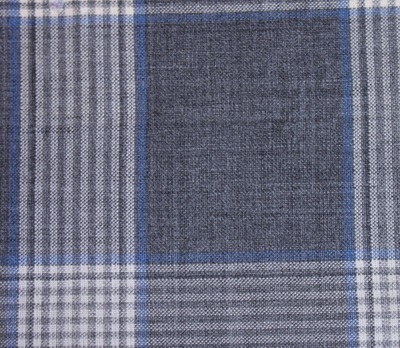 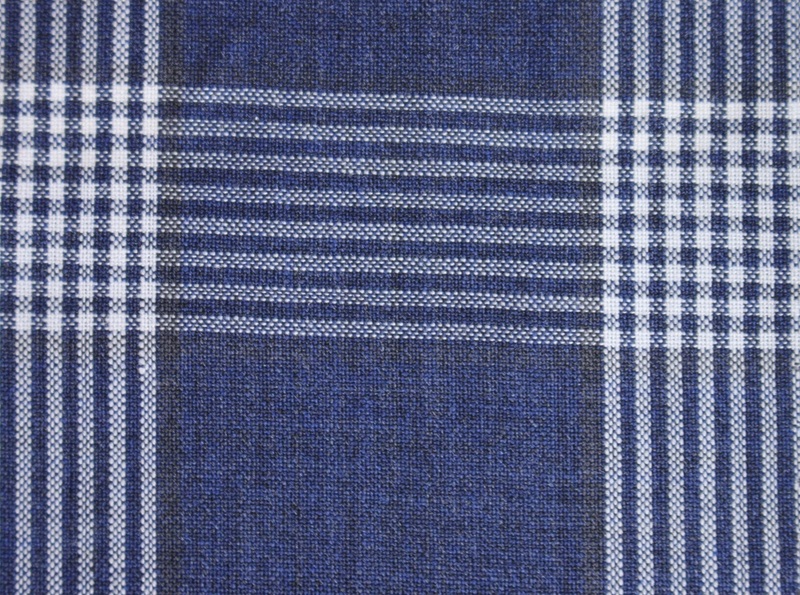 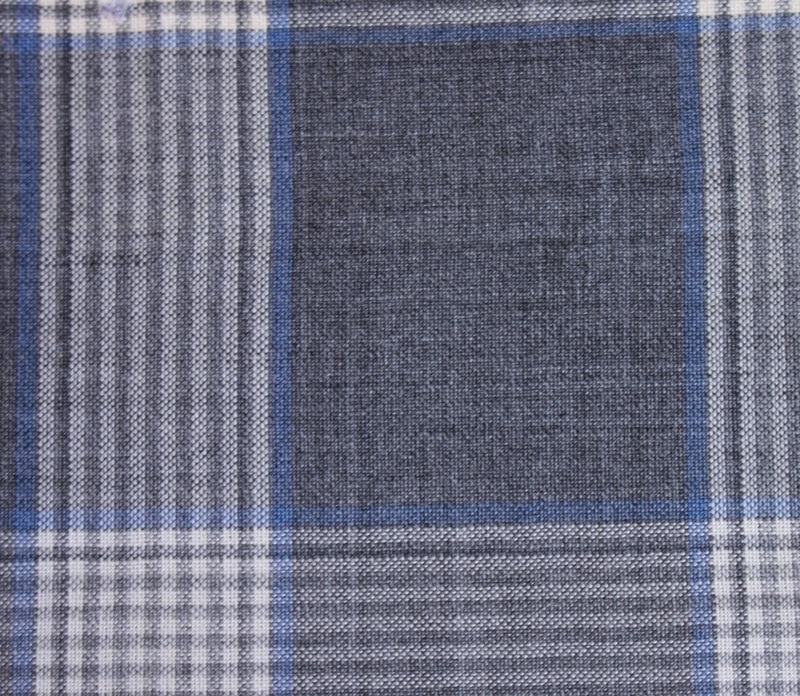 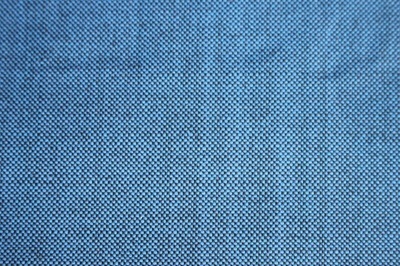 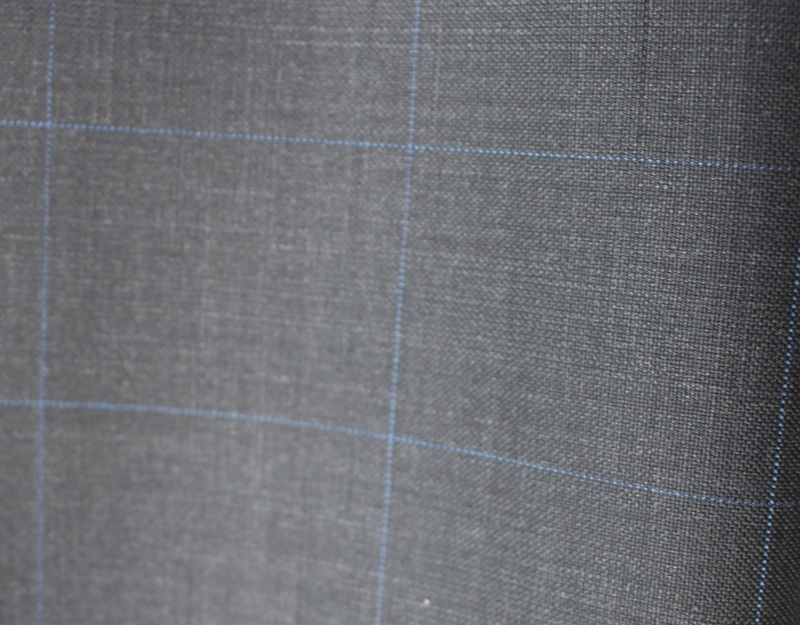 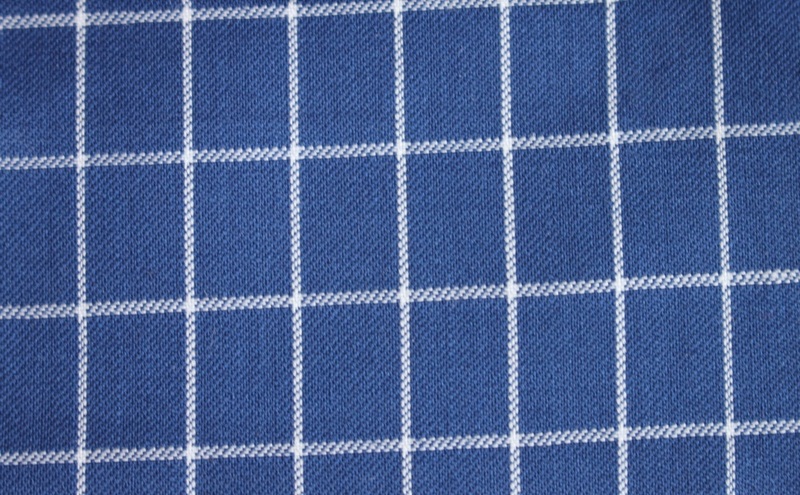 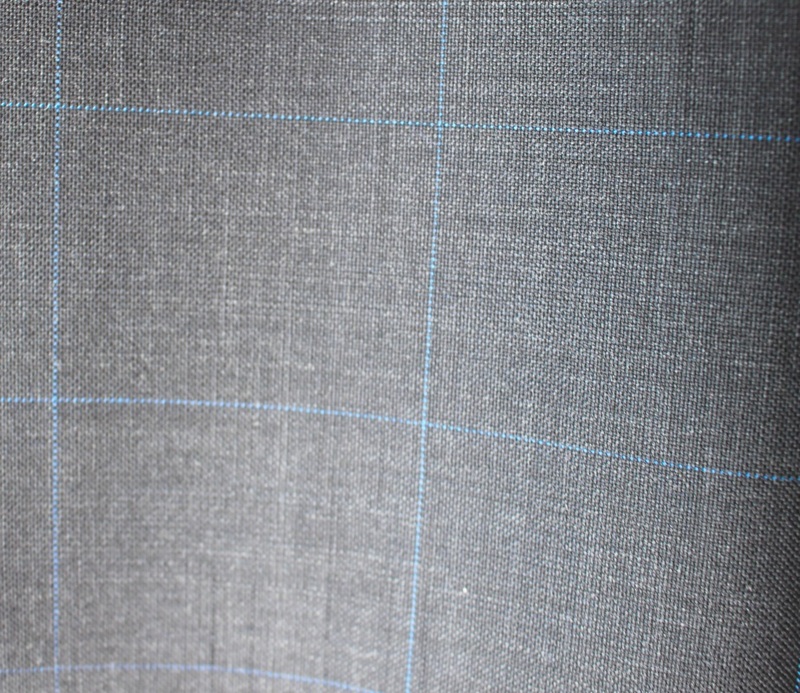 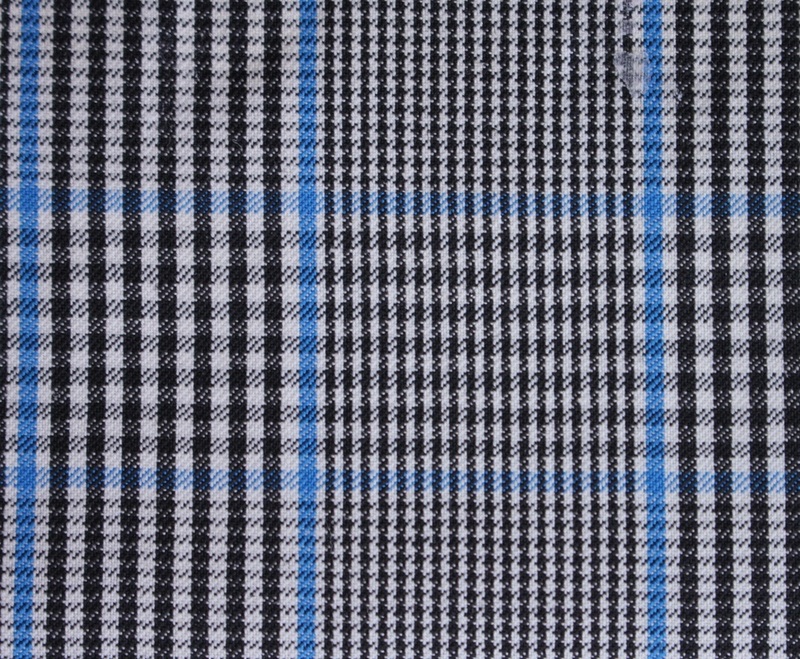 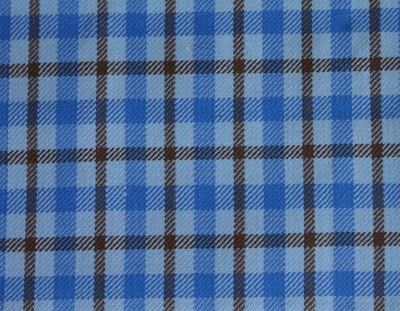 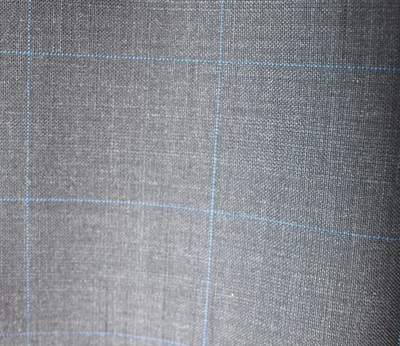 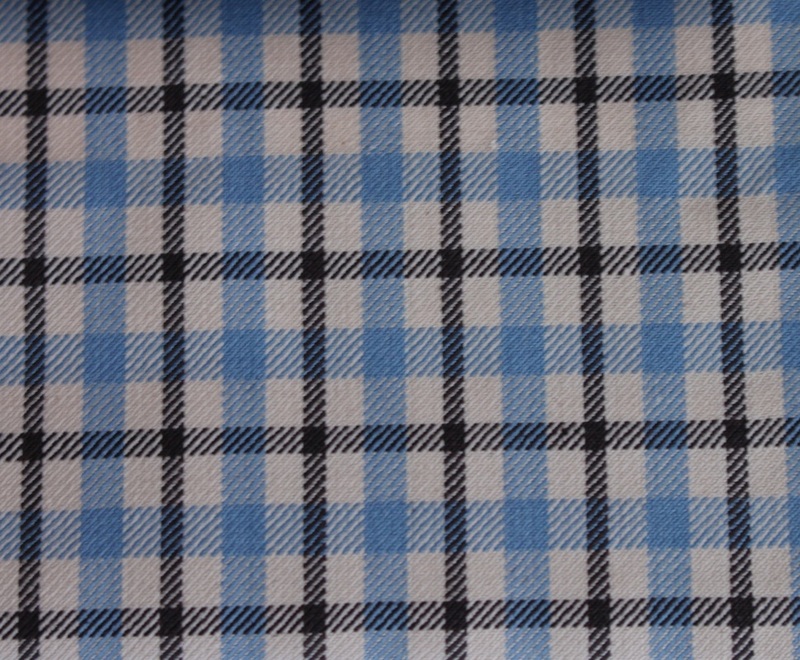 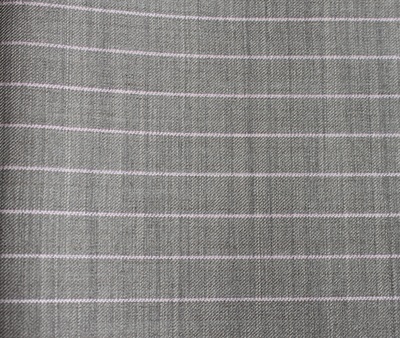 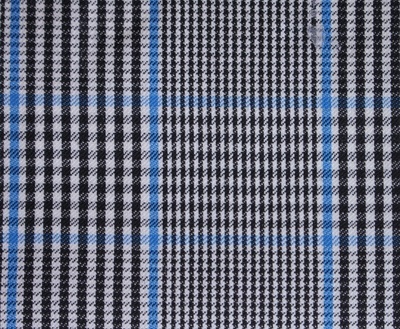 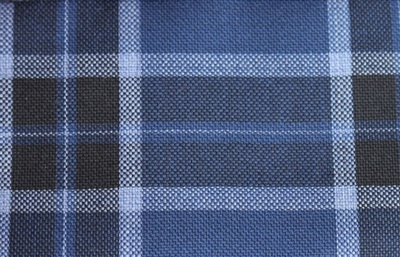 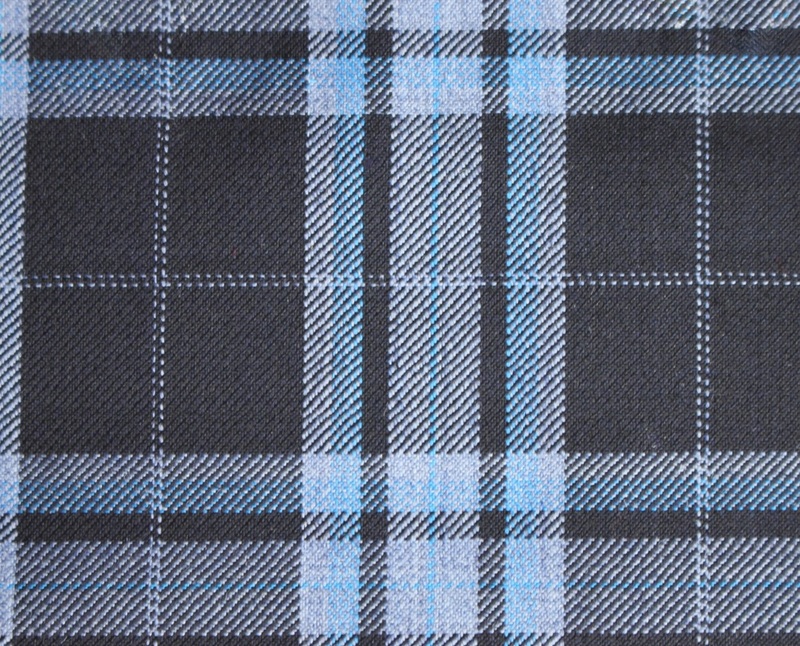 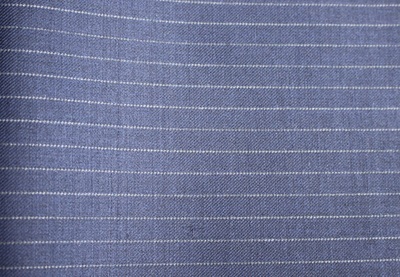 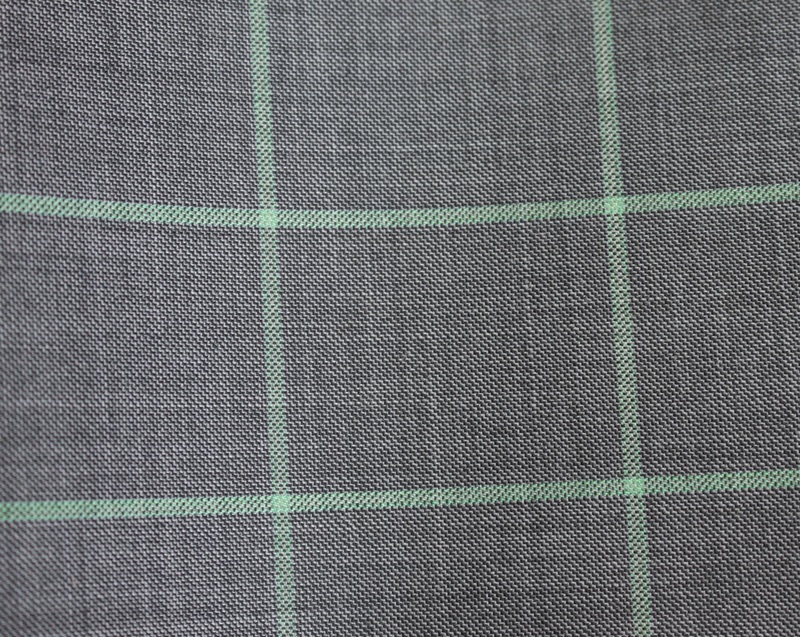 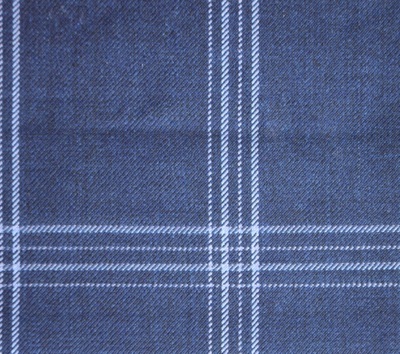 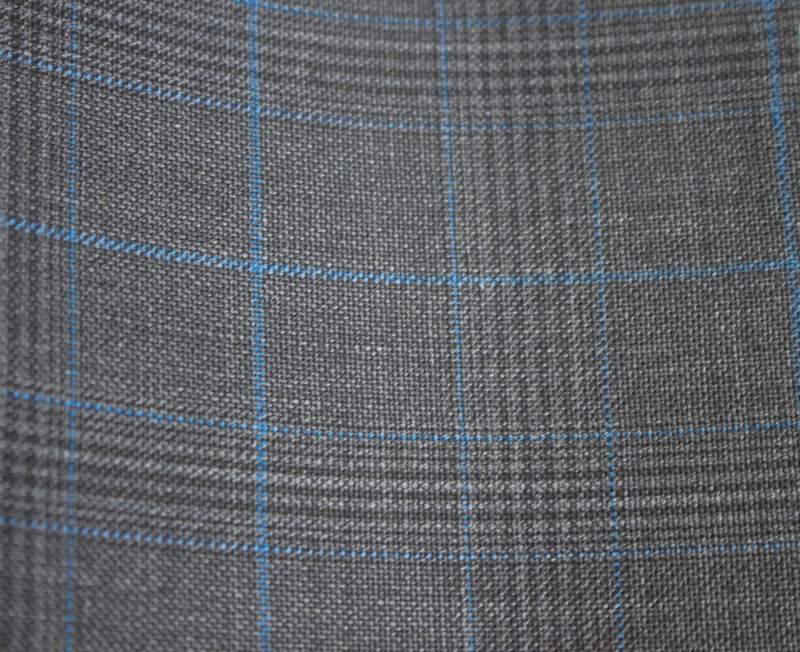 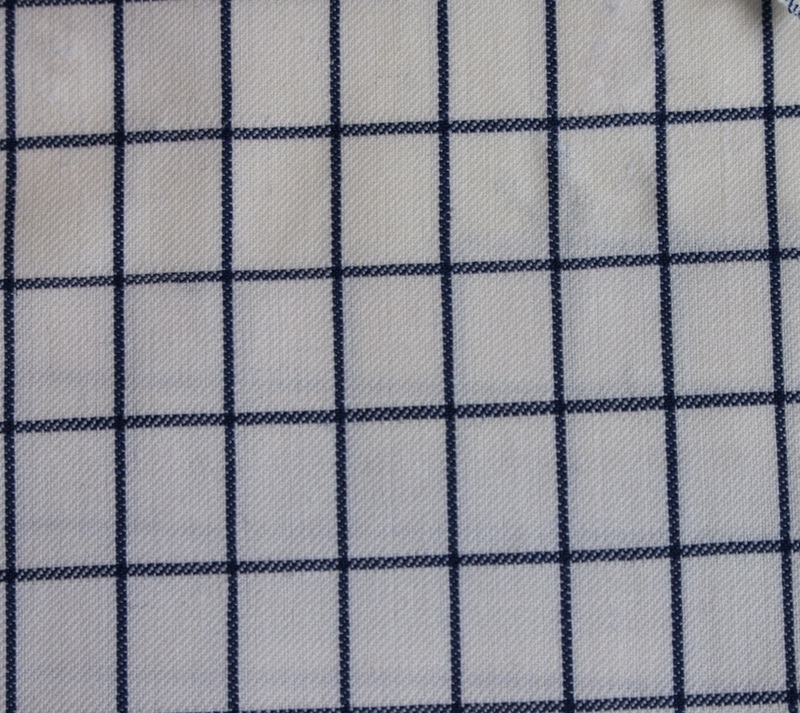 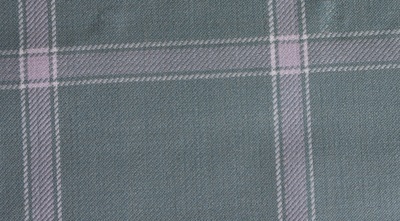 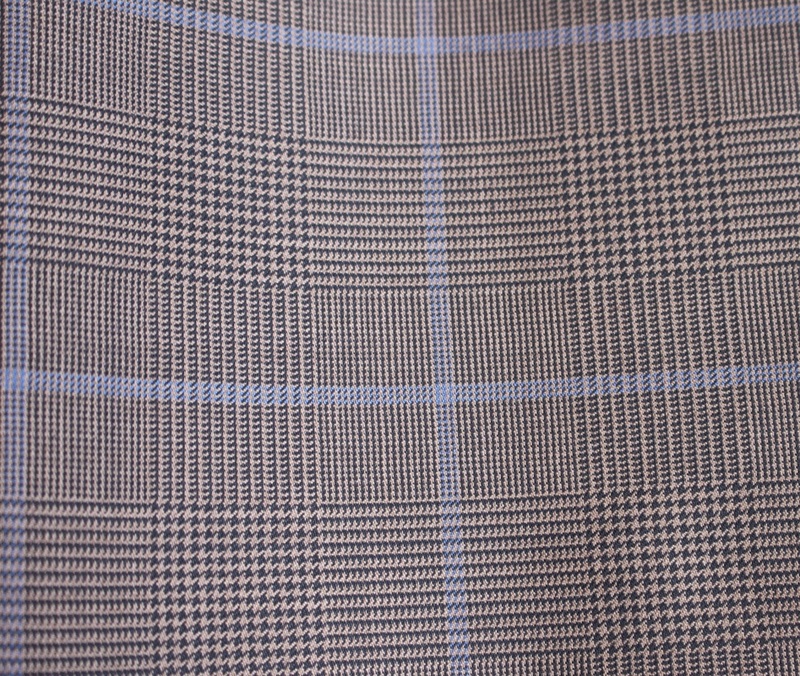 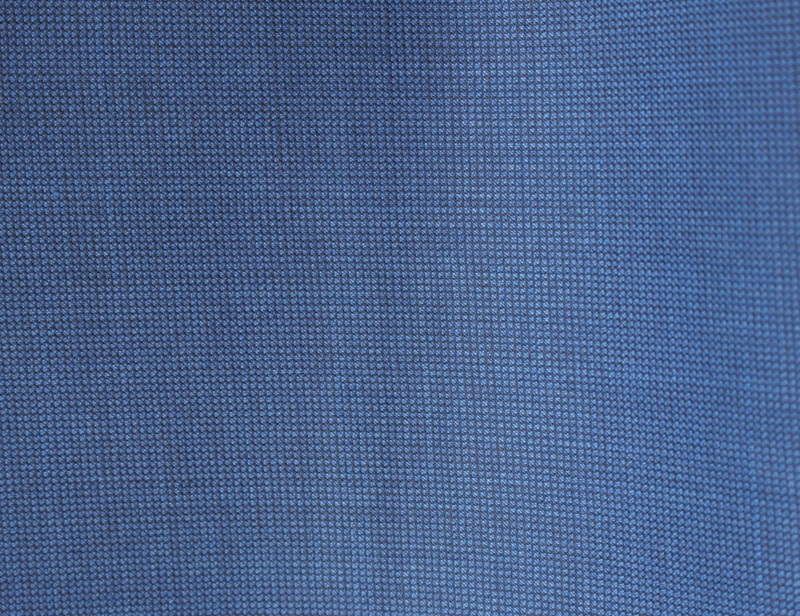 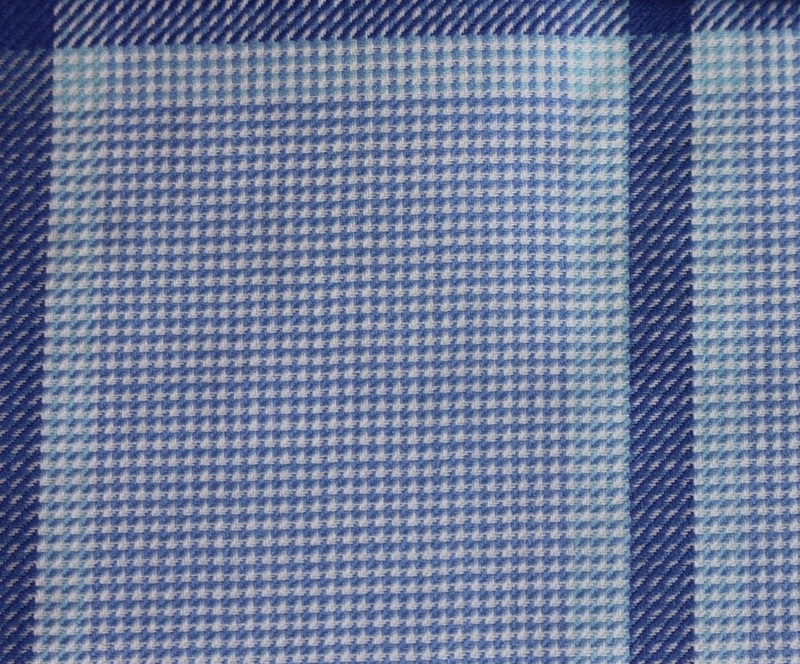 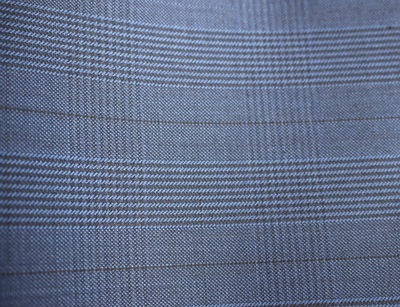 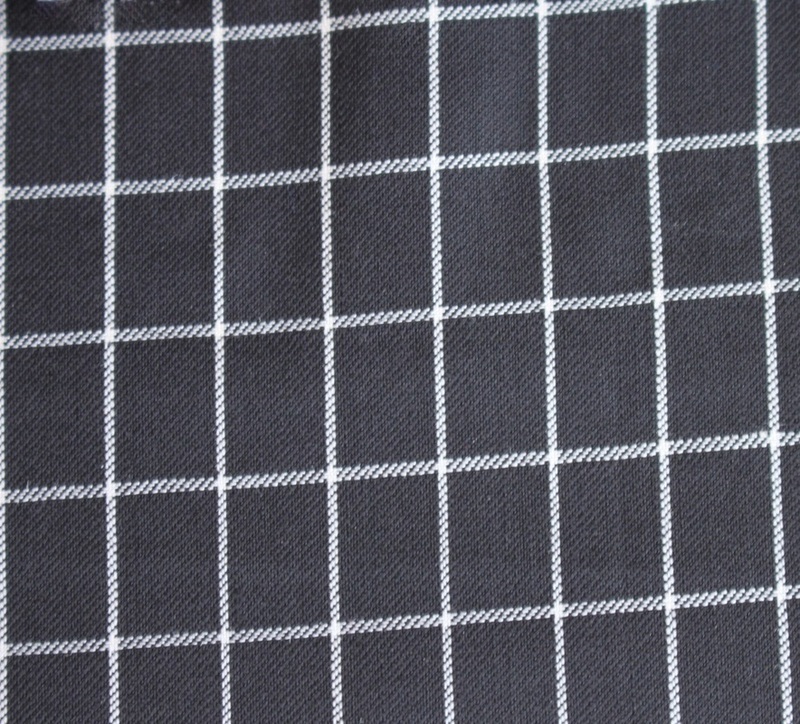 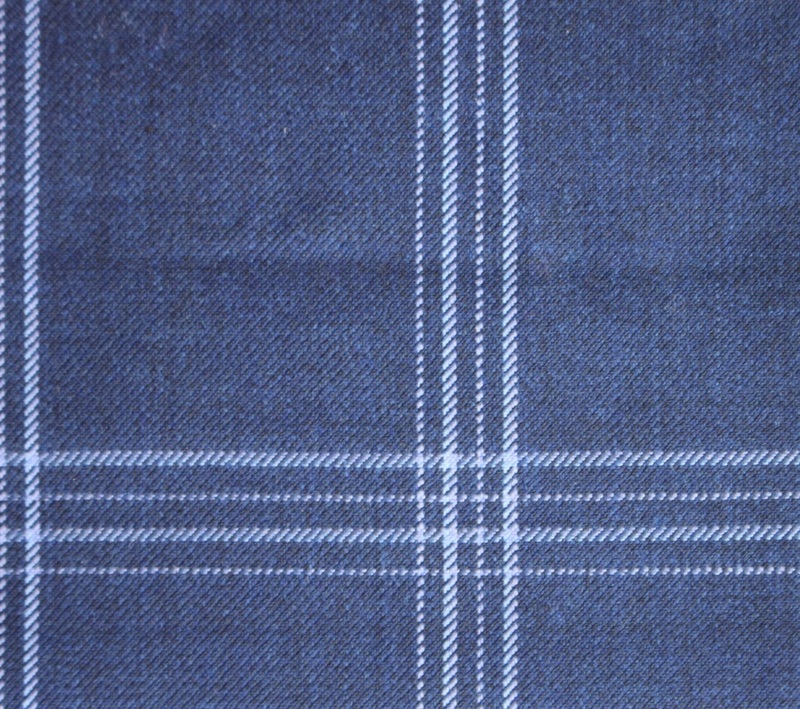 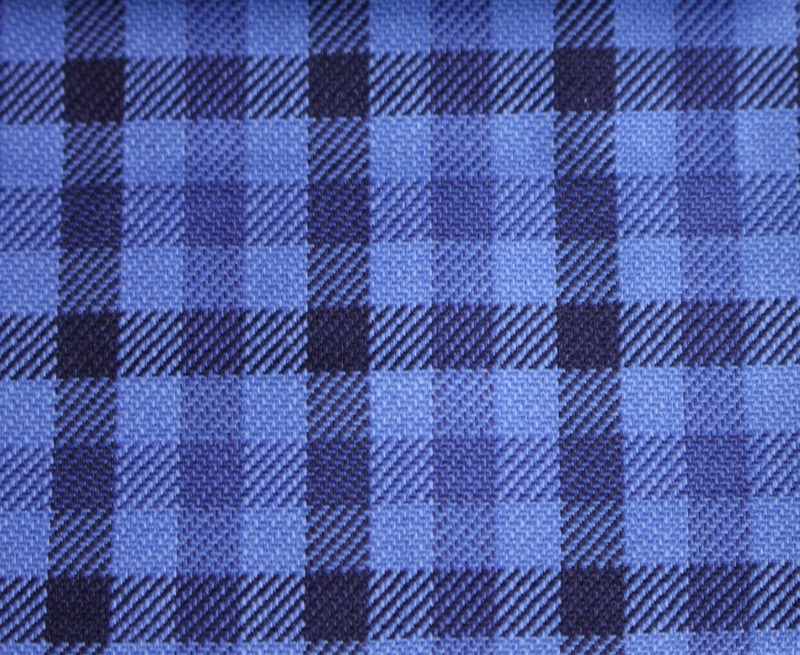 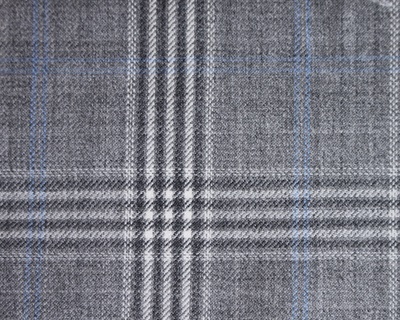 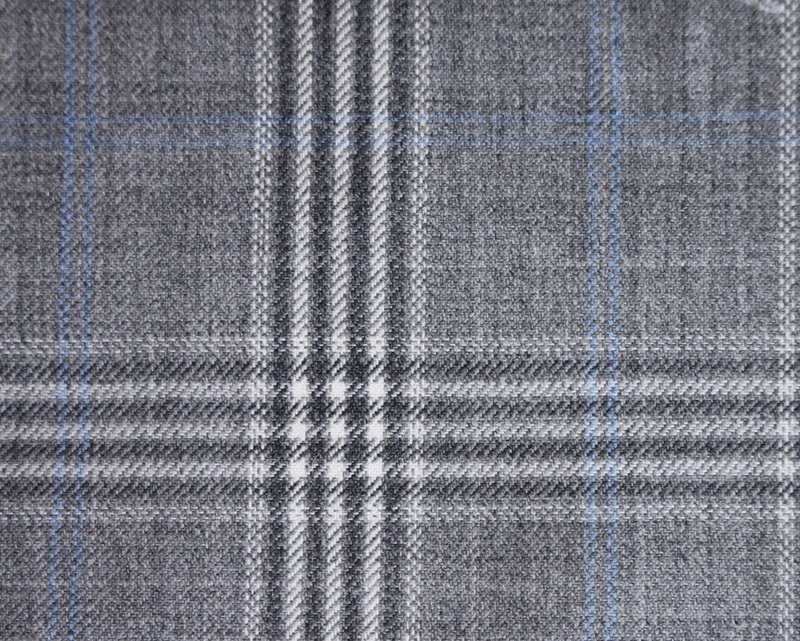 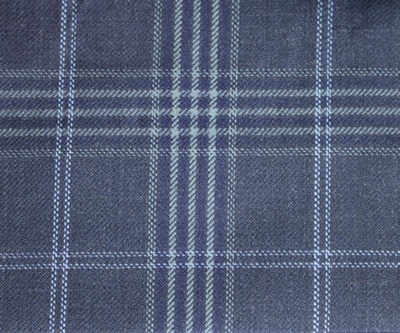 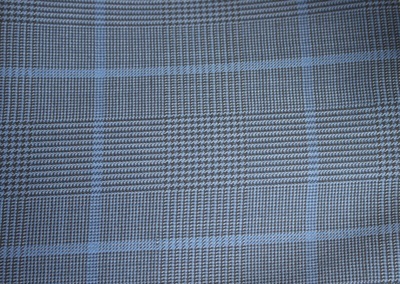 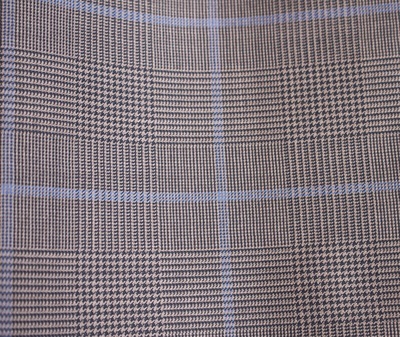 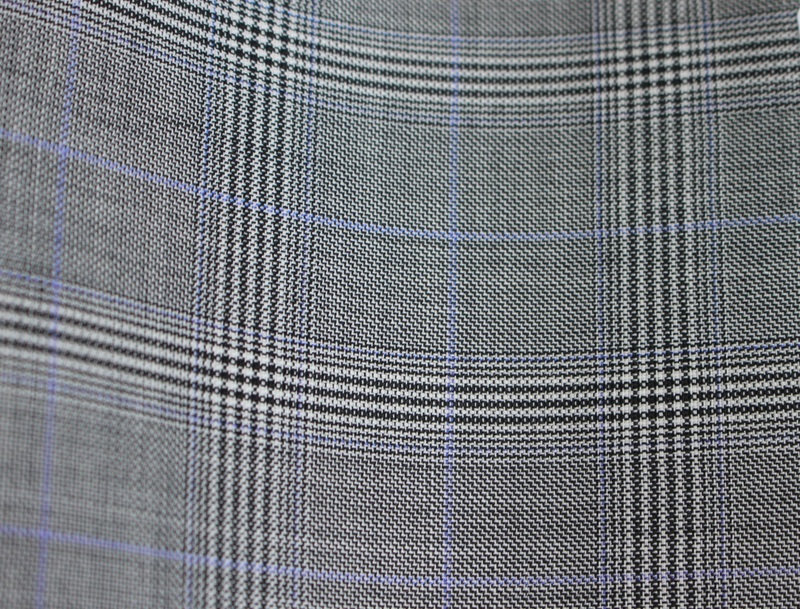 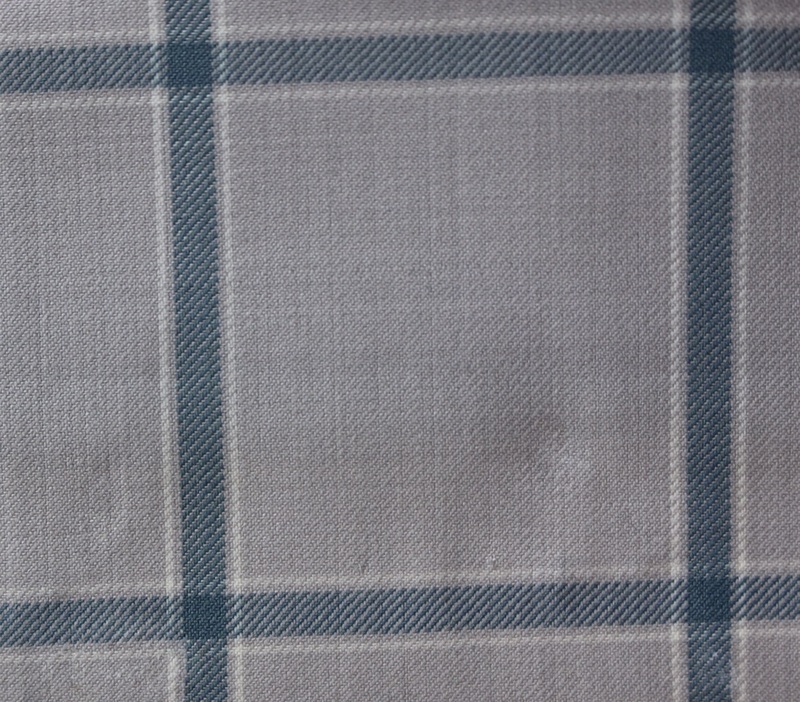 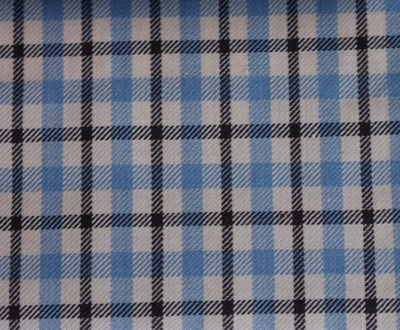 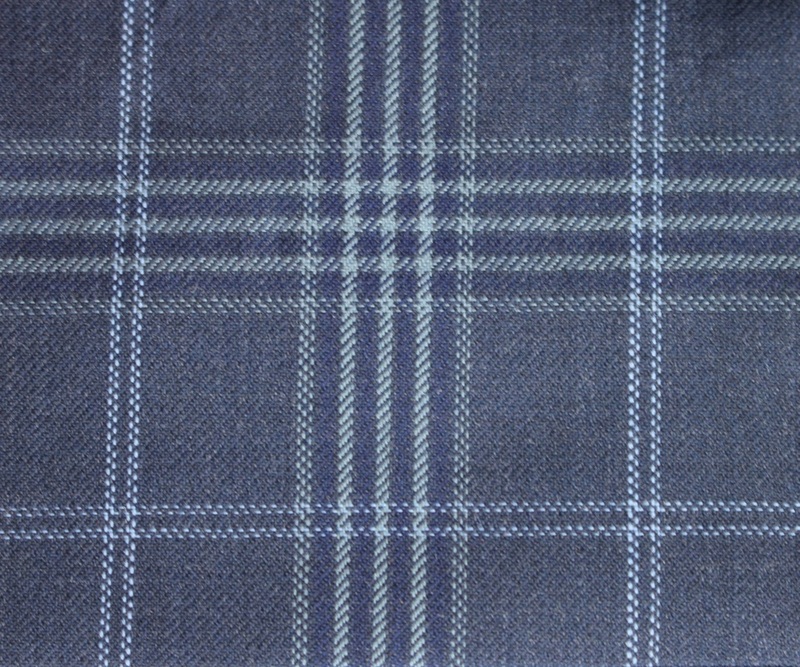 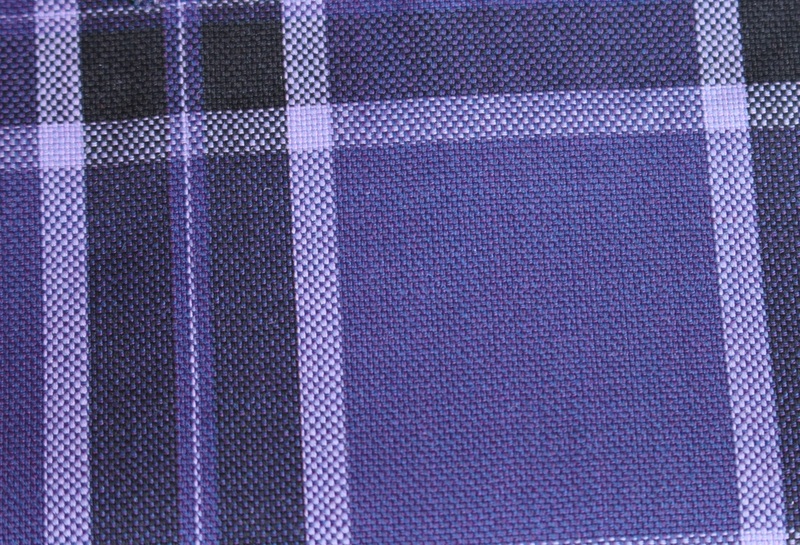 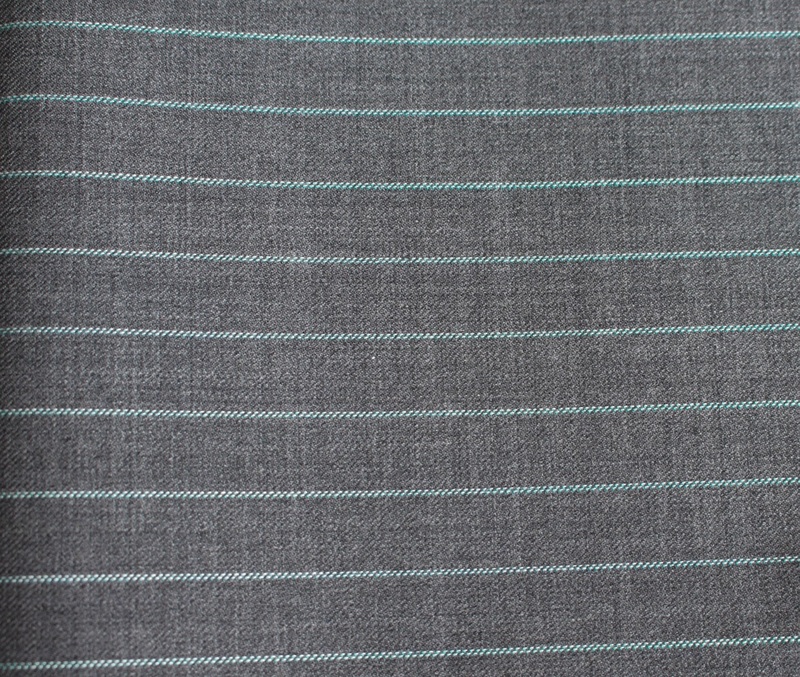 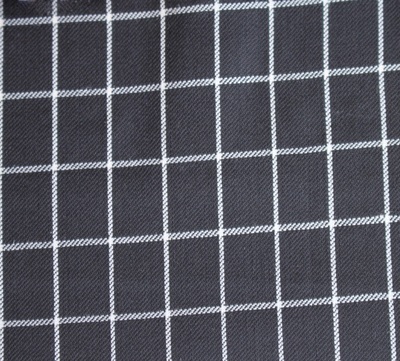 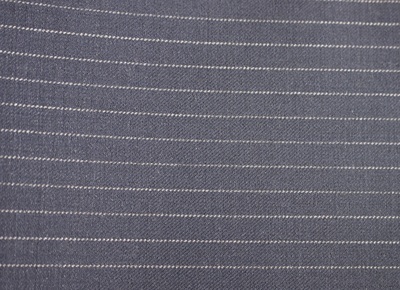 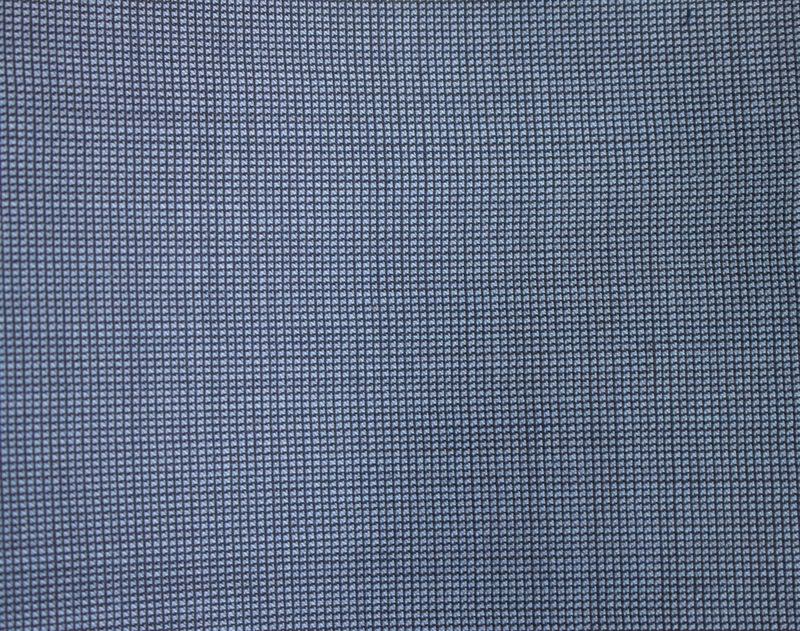 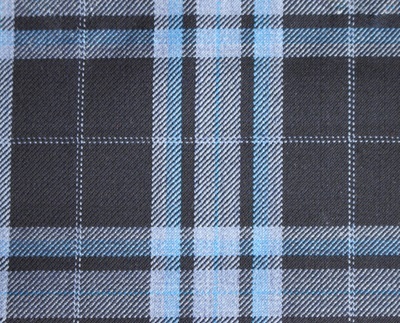 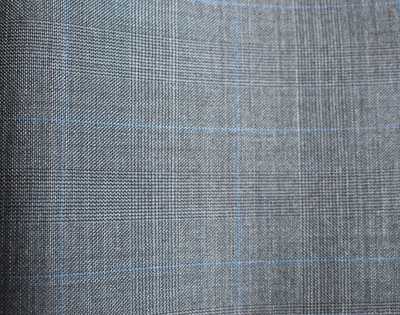 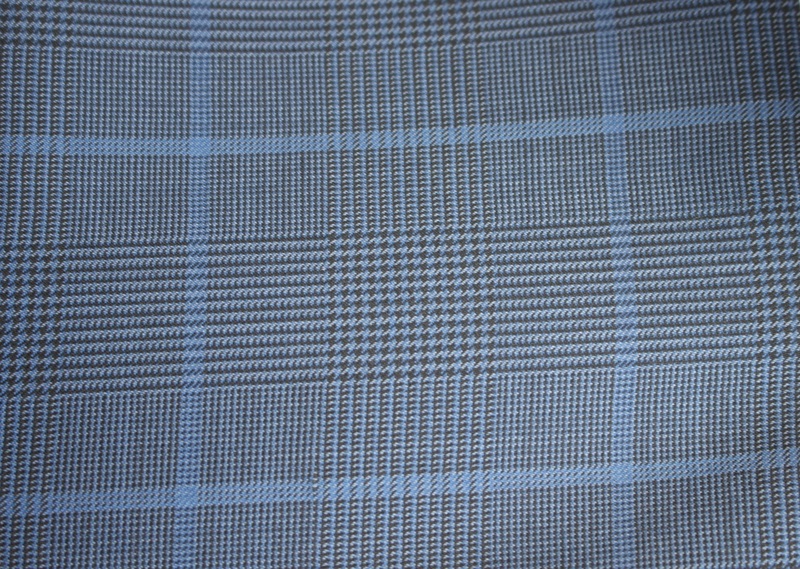 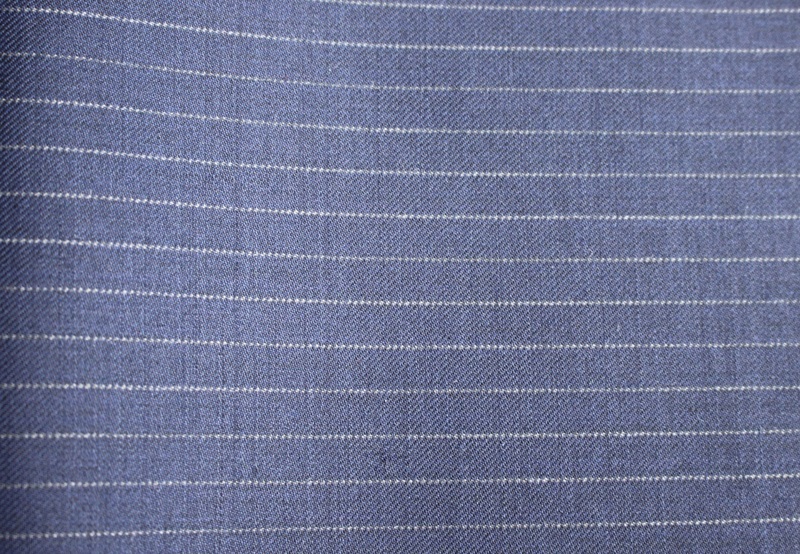 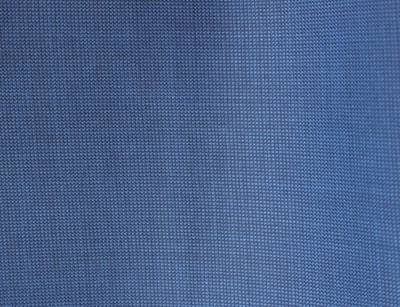 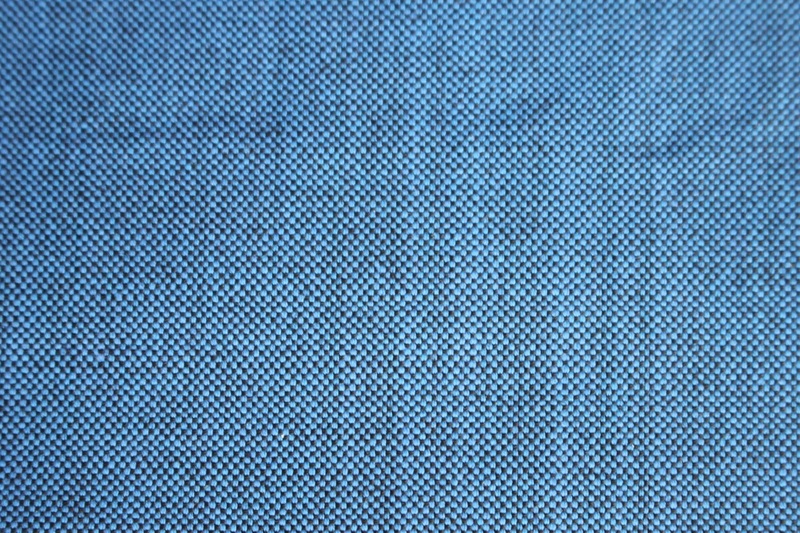 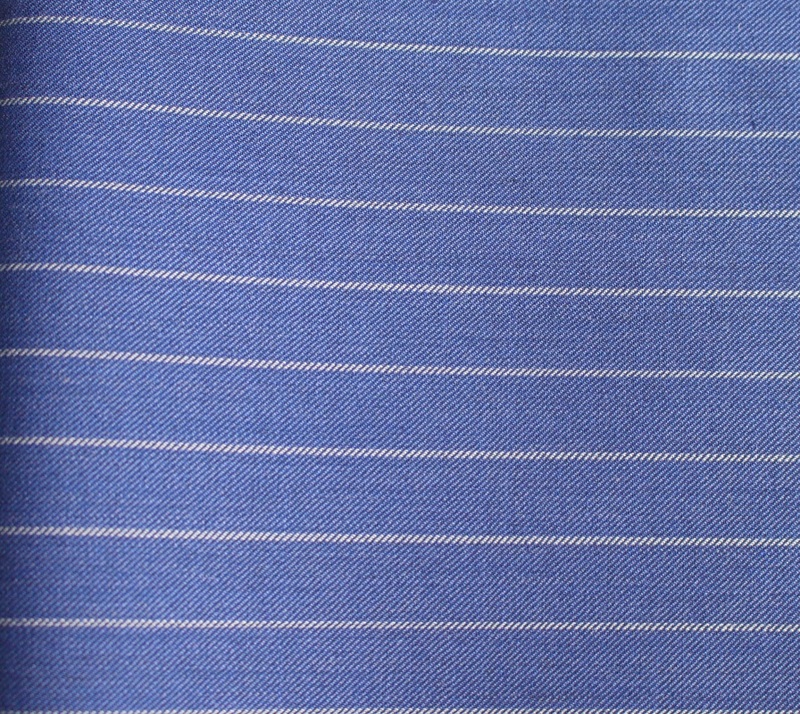 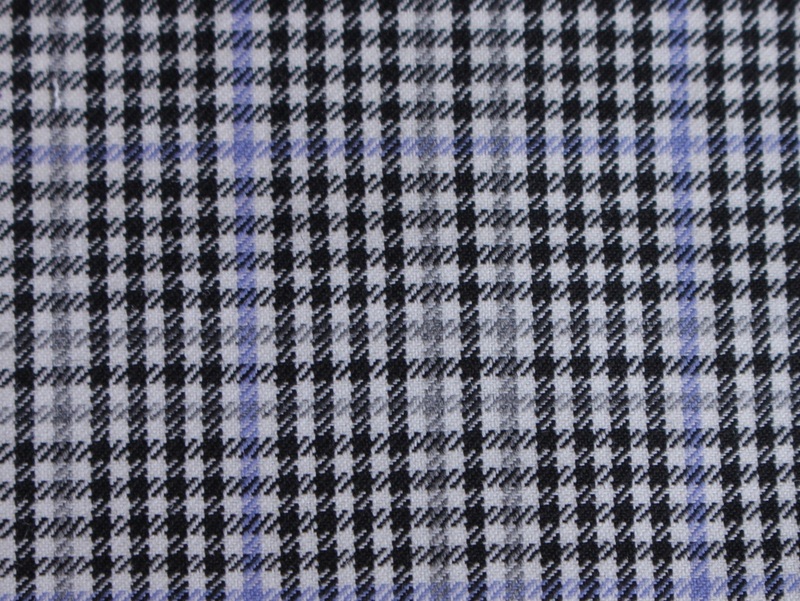 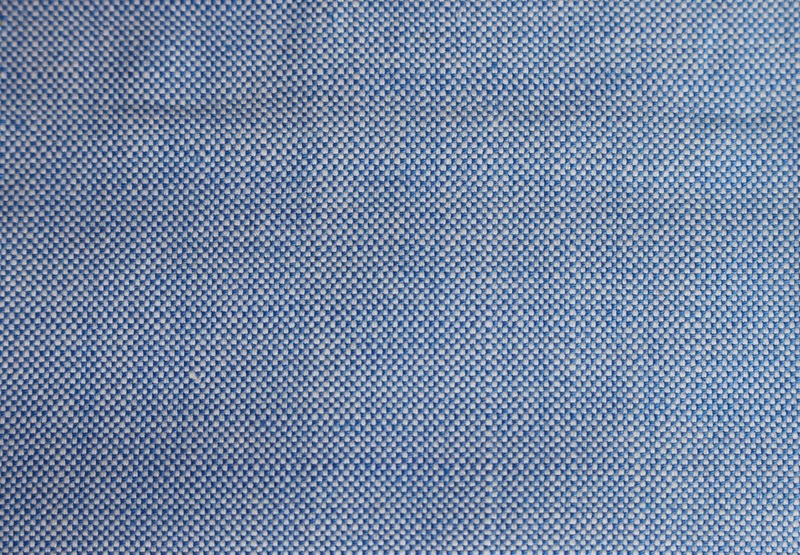 Glen Check, Windowpane, Pin Stripe, Chalk Stripe... here are just a few from our Scotty Blue Collection. 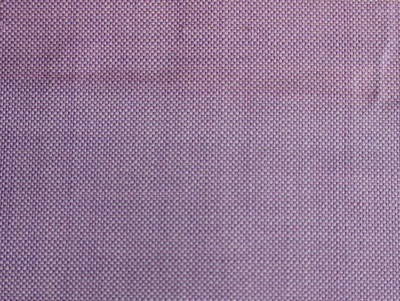 You won't find many more stylish patterns than our Jordan Zee collection.